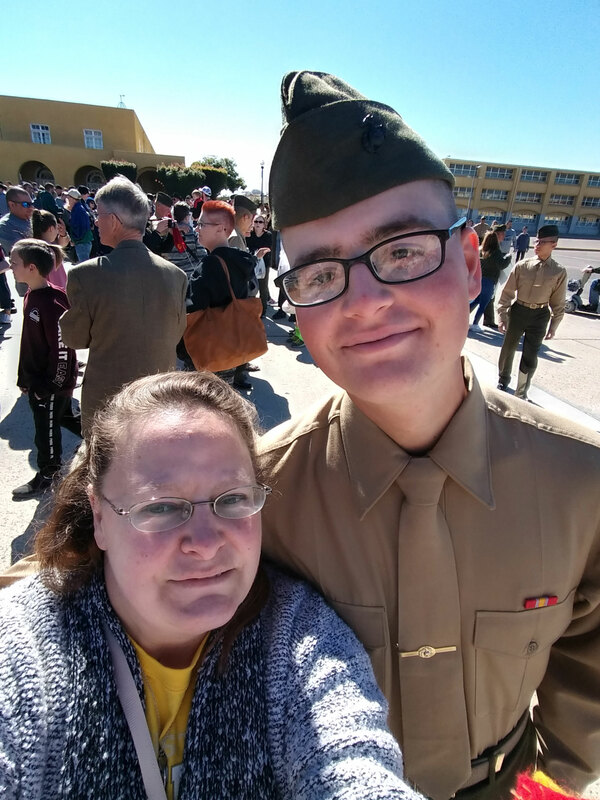 Marine Parents Travel Assistance sent Marine Mother, Sarah, to San Diego, where she watched her son graduate from Lima Company and become a Marine. 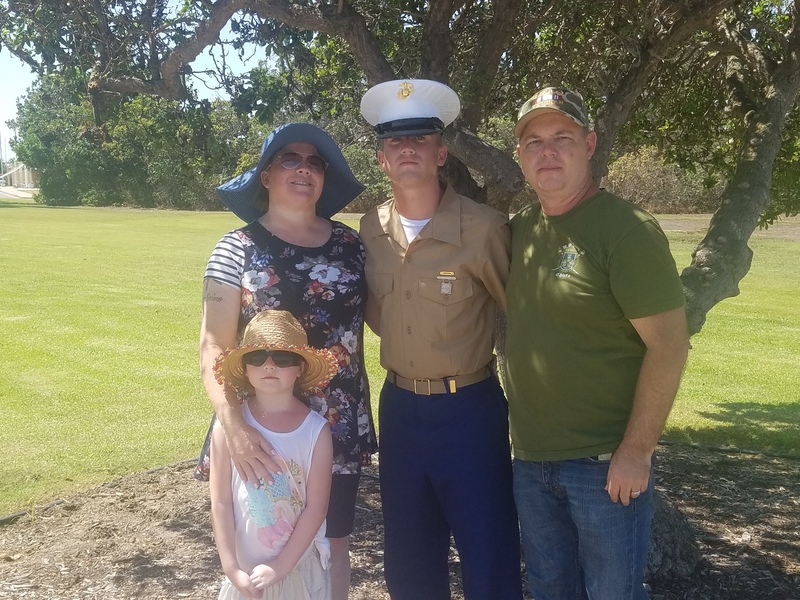 If you would like to help another family member attend their recruit's graduation, click here to donate. 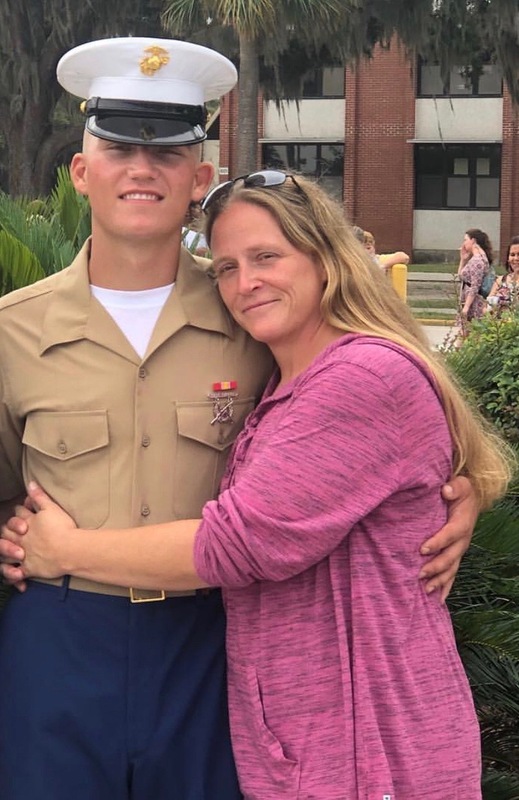 Marine Parents Travel Assistance sent Marine Mother, Jennifer, to Parris Island, where she watched her son graduate from Echo Company and become a Marine. 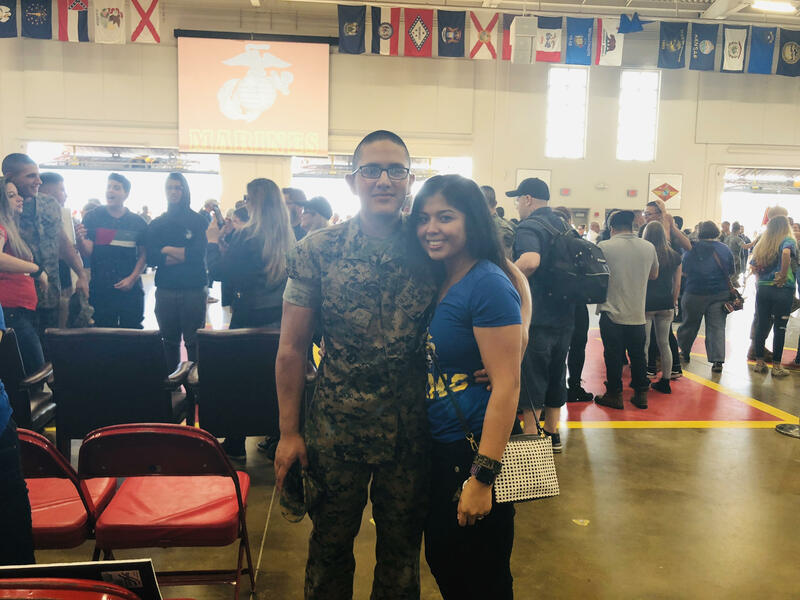 Marine Parents Travel Assistance sent Marine Mother, Angelica, to Parris Island, where she watched her daughter graduate from Papa Company and become a Marine. 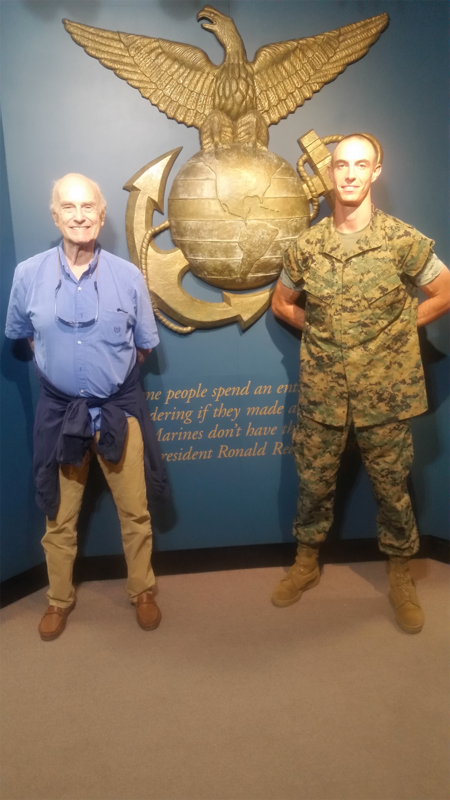 Marine Parents Travel Assistance sent Marine Father, Richard, to Parris Island, where he watched his son graduate from Mike Company and become a Marine. 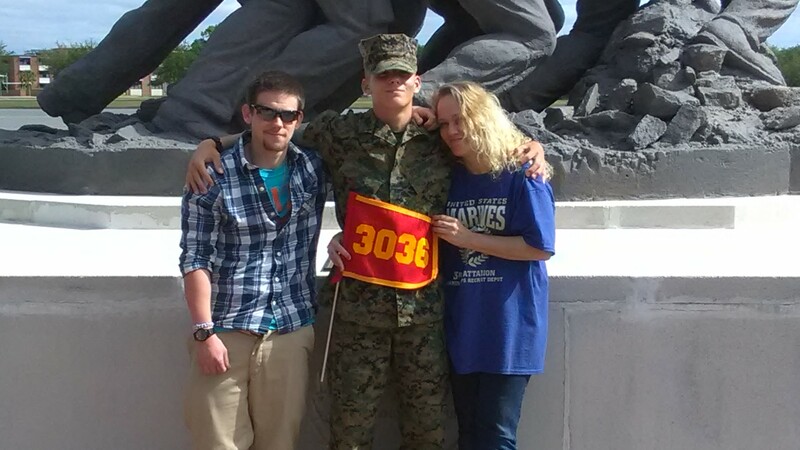 Marine Parents Travel Assistance sent Marine Mother, Tara, to San Diego, where she watched her son graduate from Golf Company and become a Marine. 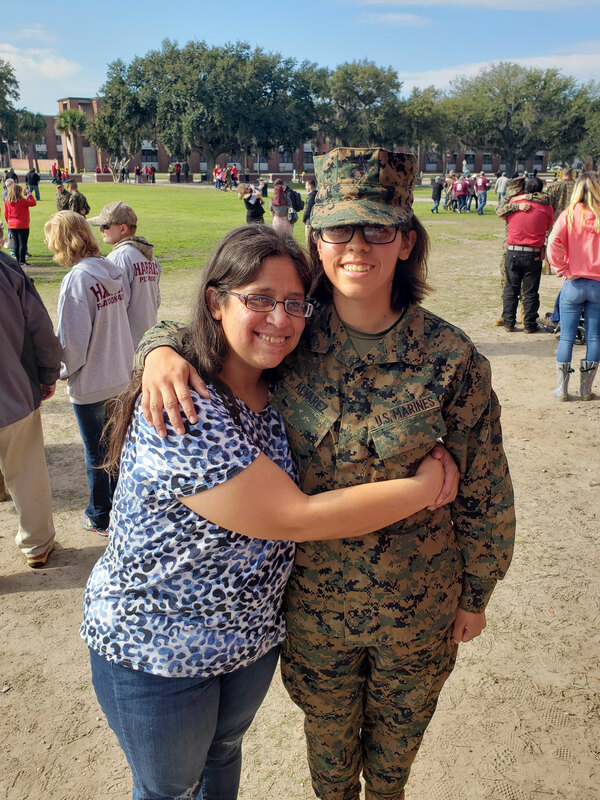 Marine Parents Travel Assistance sent Marine Mother, Eveylene, to Parris Island, where she watched her daughter graduate from Papa Company and become a Marine. 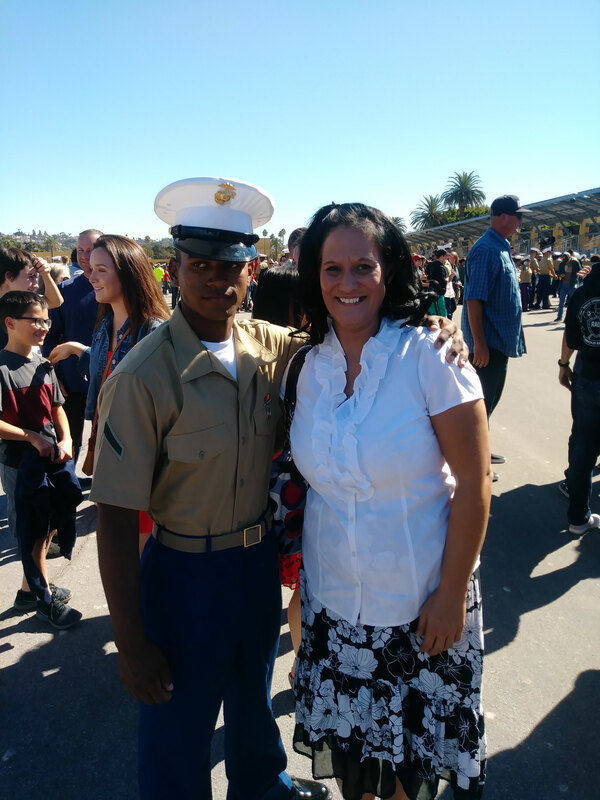 Marine Parents Travel Assistance sent Marine Mother, Bridgette, to San Diego, where she watched her son graduate from Hotel Company and become a Marine. 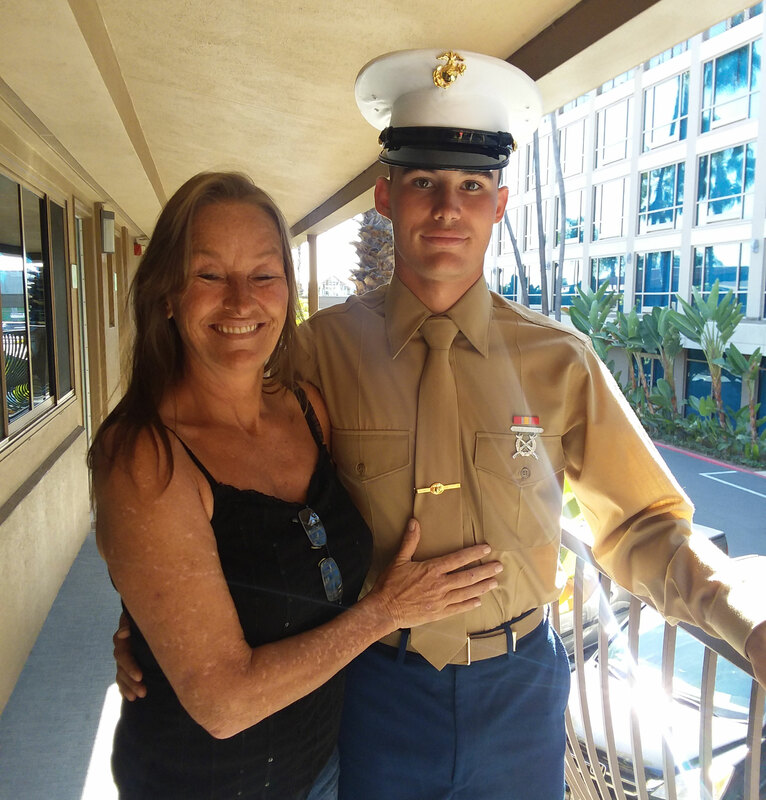 Marine Parents Travel Assistance sent Marine Mother, Mercie, to San Diego, where she watched her son graduate from Hotel Company and become a Marine. Marine Parents Travel Assistance sent Marine Mother, Patricia, to San Diego, where she watched her son graduate from Delta Company and become a Marine. 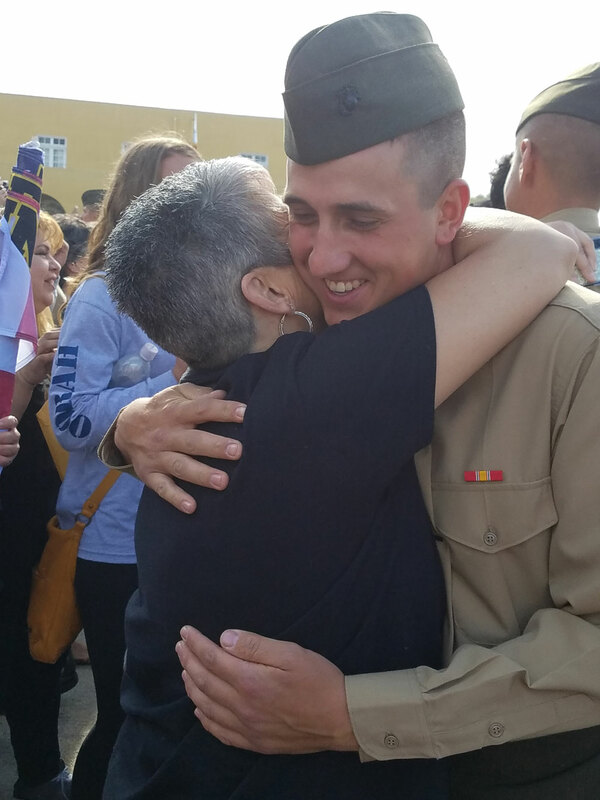 Marine Parents Travel Assistance sent Marine Mother, Lili, to San Diego, where she watched her son graduate from India Company and become a Marine. 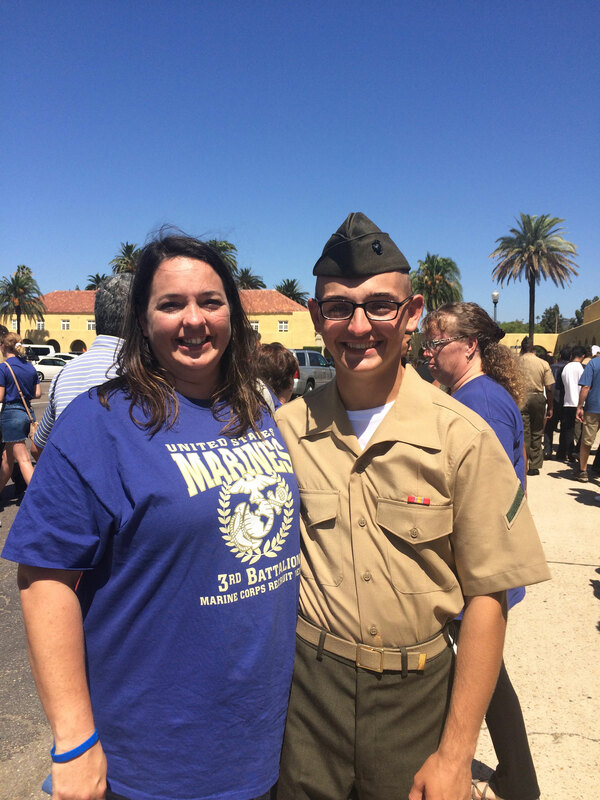 Marine Parents Travel Assistance sent Marine Mother, Rebecca, to San Diego, where she watched her son graduate from India Company and become a Marine. 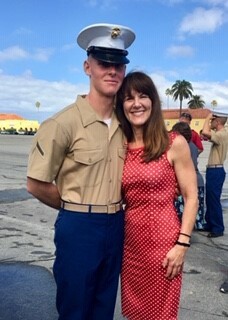 Marine Parents Travel Assistance sent Marine Mother, Laura, to San Diego, where she watched her son graduate from India Company and become a Marine. 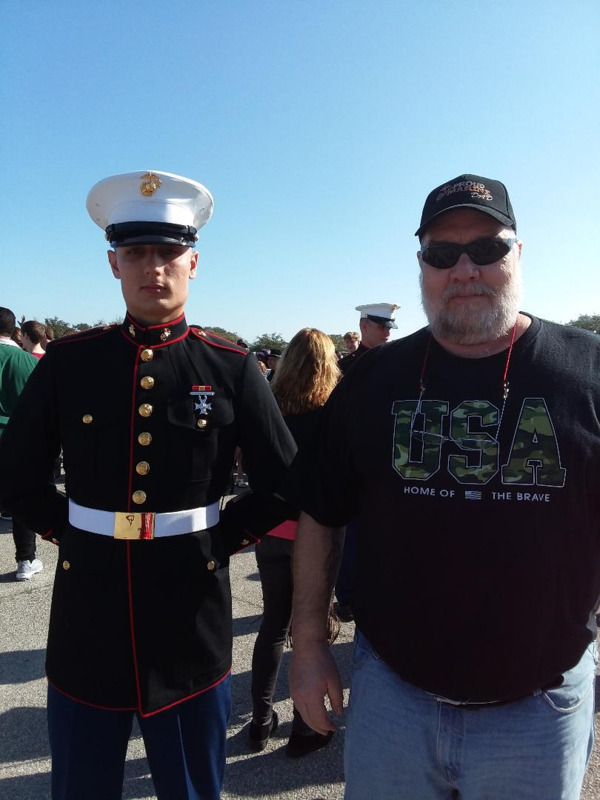 Marine Parents Travel Assistance sent Marine Father, Jerry, to Parris Island, where he watched his son graduate from Kilo Company and become a Marine. 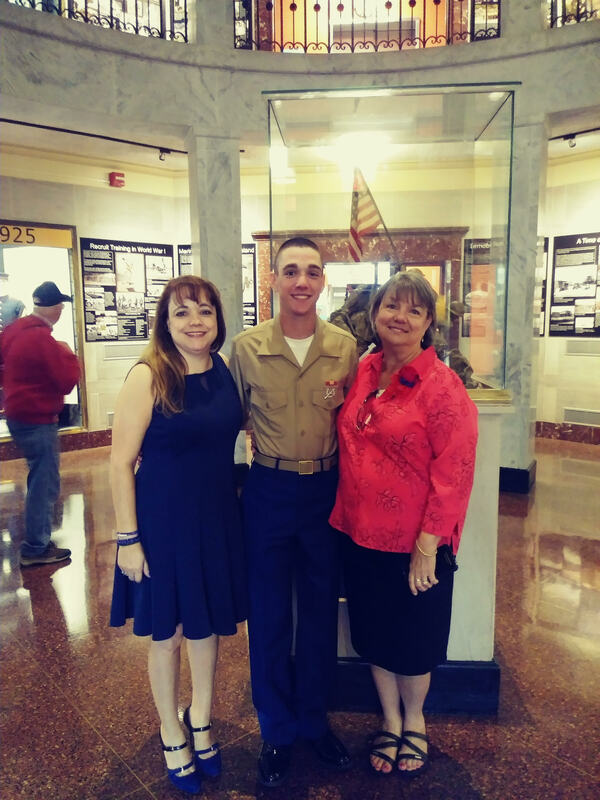 Marine Parents Travel Assistance sent Marine Mother, Laura, to Parris Island, where she watched her son graduate from Fox Company and become a Marine. 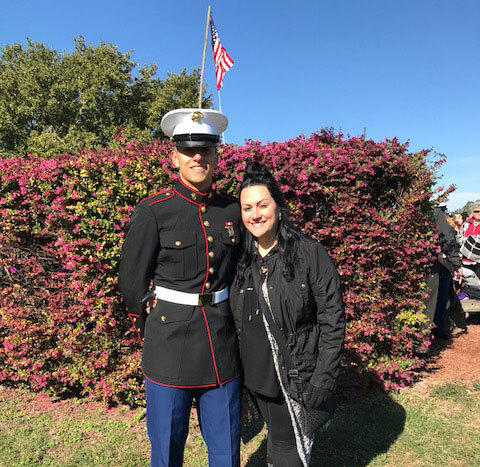 Marine Parents Travel Assistance sent Marine Mother, Maria, to Parris Island, where she watched her son graduate from Fox Company and become a Marine. 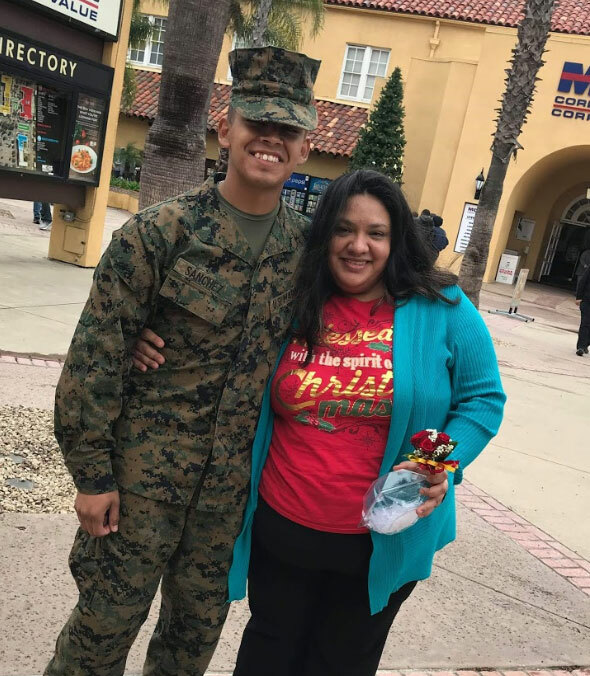 Marine Parents Travel Assistance sent Marine Mother, Maria, to San Diego, where she watched her son graduate from Bravo Company and become a Marine. 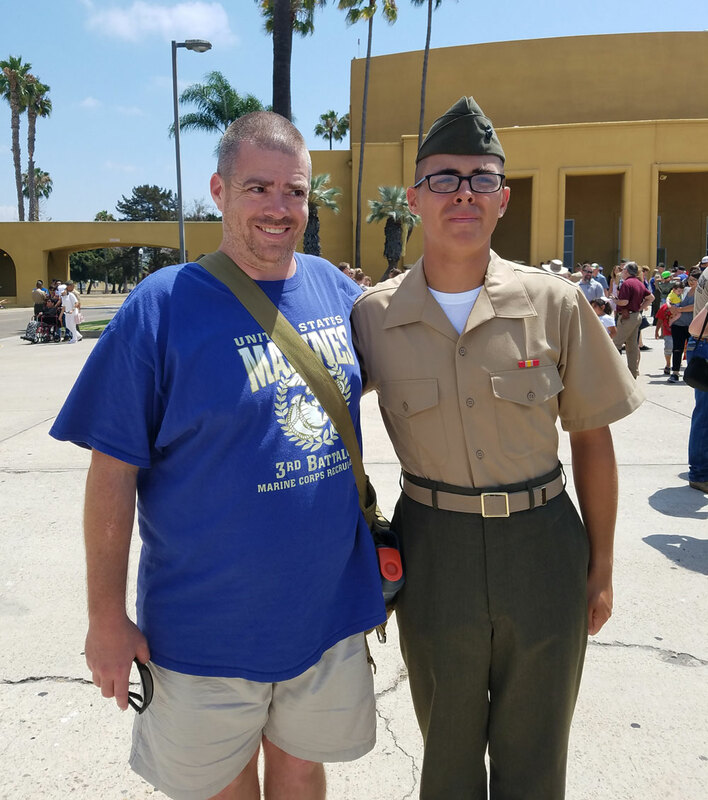 Marine Parents Travel Assistance sent Marine Father, Michael, to San Diego, where he watched his son graduate from Lima Company and become a Marine. 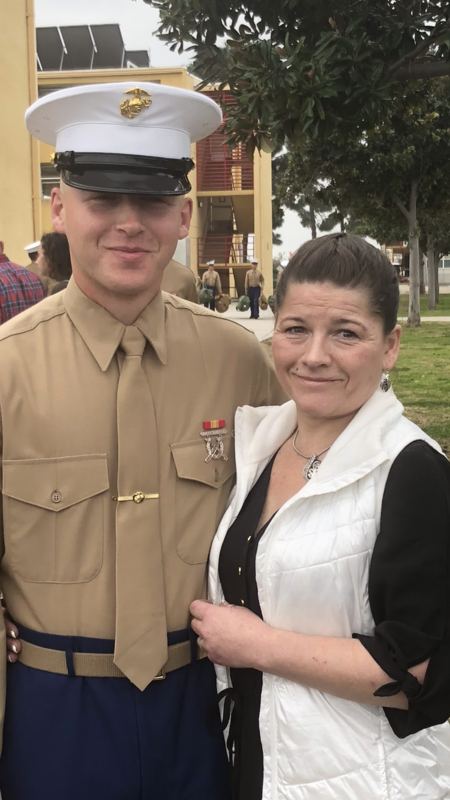 Marine Parents Travel Assistance sent Marine Mother, Kathryn, to San Diego, where she watched her son graduate from Lima Company and become a Marine. 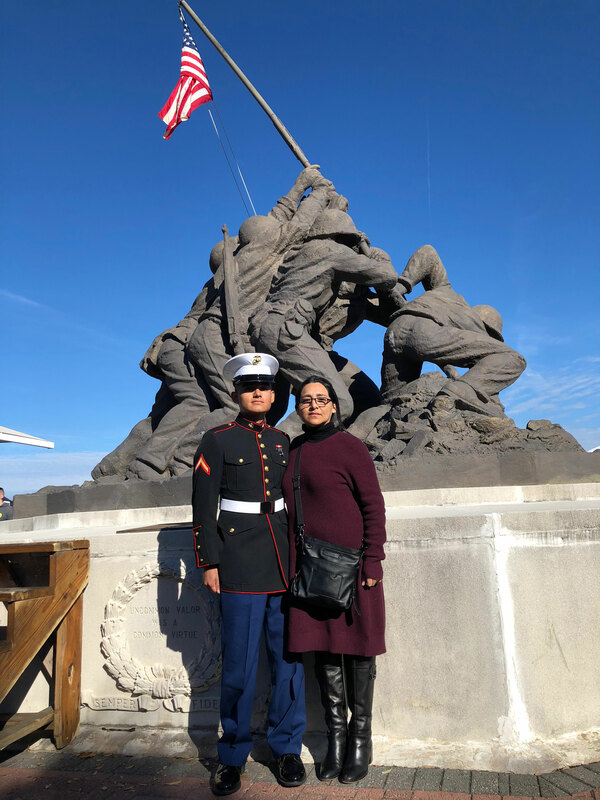 Marine Parents Travel Assistance sent Marine Mother, Sonda, to Parris Island, where she watched her son graduate from Bravo Company and become a Marine. 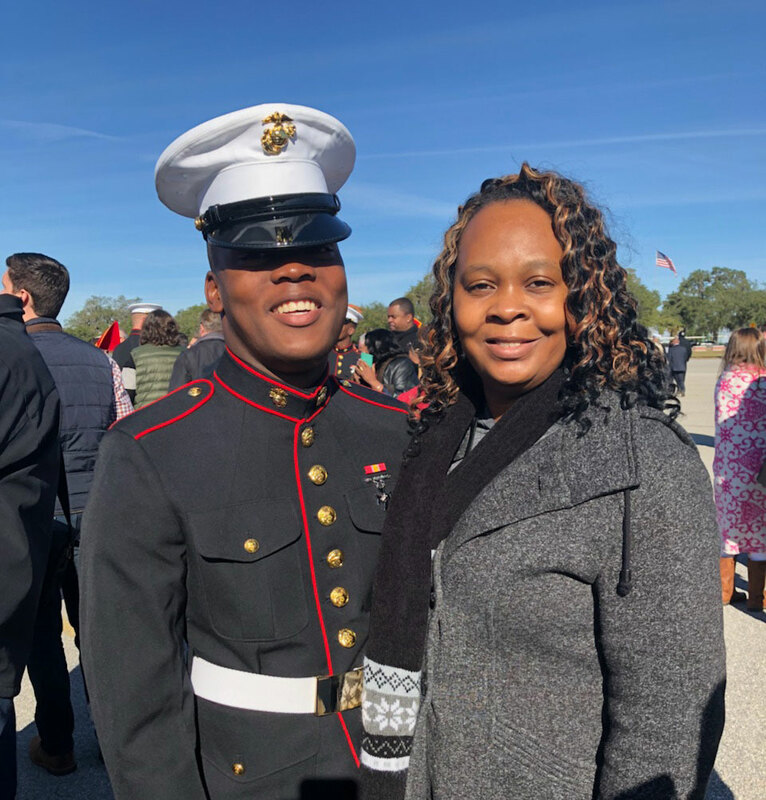 Marine Parents Travel Assistance sent Marine Mother, Patience, to Parris Island, where she watched her son graduate from Bravo Company and become a Marine. 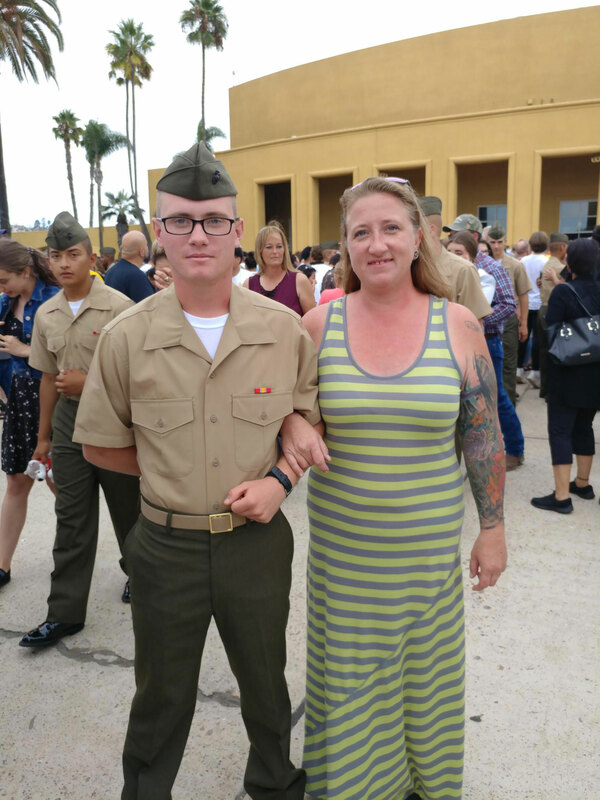 Marine Parents Travel Assistance sent Marine Mother, Tara, to San Diego, where she watched her son graduate from Fox Company and become a Marine. 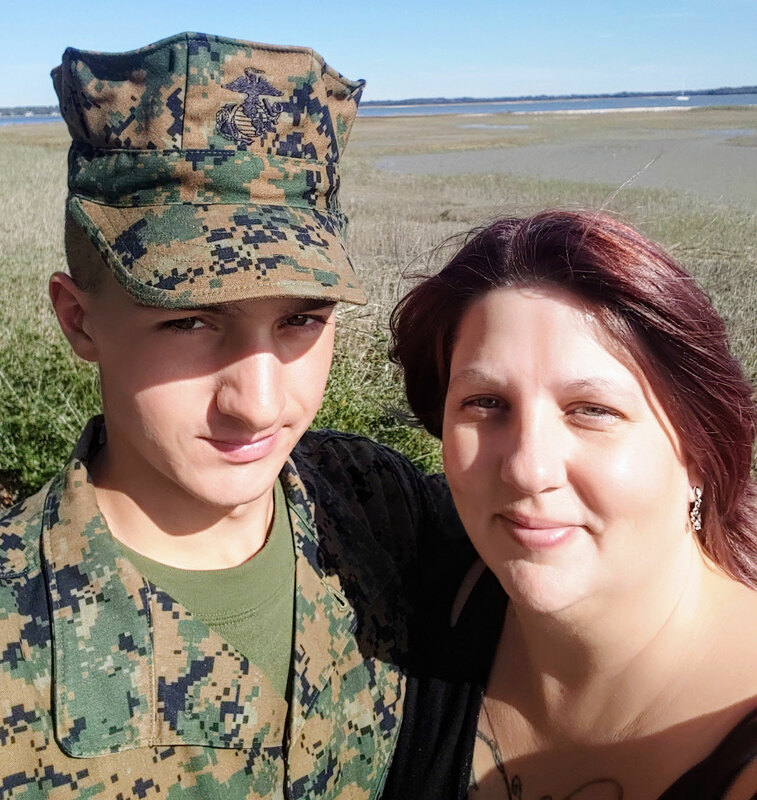 Marine Parents Travel Assistance sent Marine Mother, Deanna, to Parris Island, where she watched her son graduate from Echo Company and become a Marine. 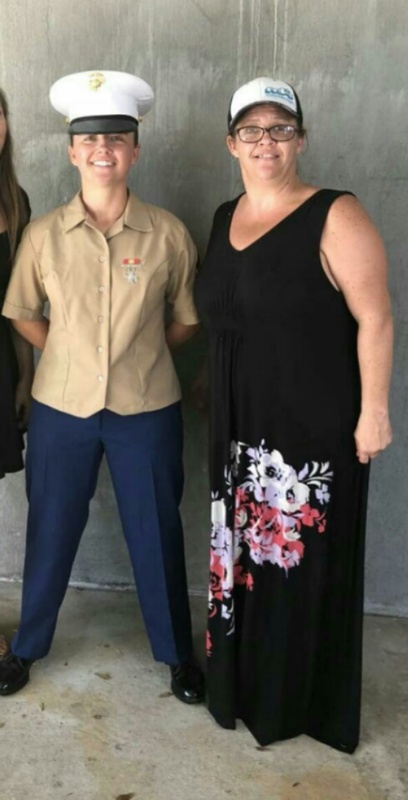 Marine Parents Travel Assistance sent Marine Mother, Amy, to San Diego, where she watched her son graduate from Fox Company and become a Marine. 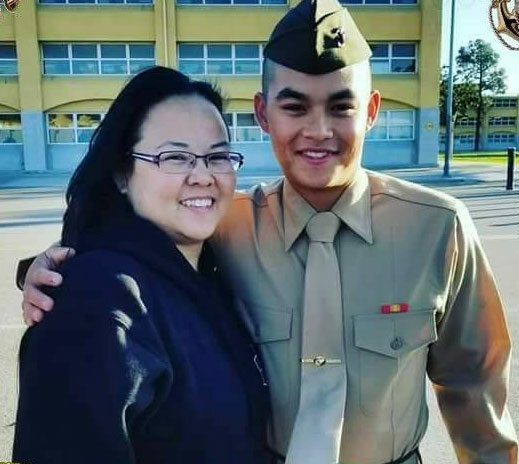 Marine Parents Travel Assistance sent Marine Mother, Belinda, to San Diego, where she watched her son graduate from Charlie Company and become a Marine. 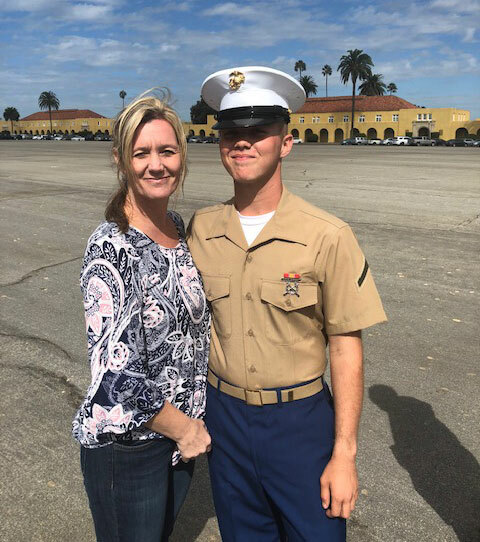 Marine Parents Travel Assistance sent Marine Mother, Margaret, to San Diego, where she watched her son graduate from Charlie Company and become a Marine. 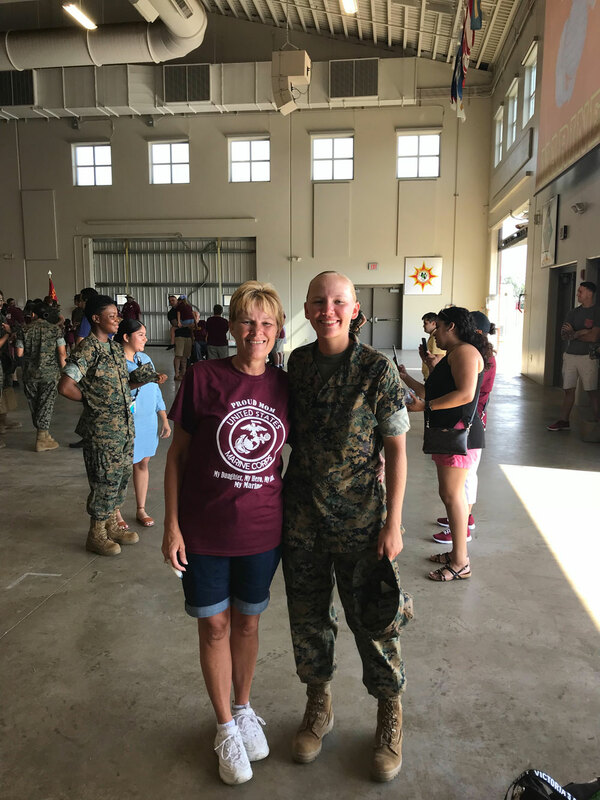 Marine Parents Travel Assistance sent Marine Mother, Sheryl, to Parris Island, where she watched her daughter graduate from Oscar Company and become a Marine. 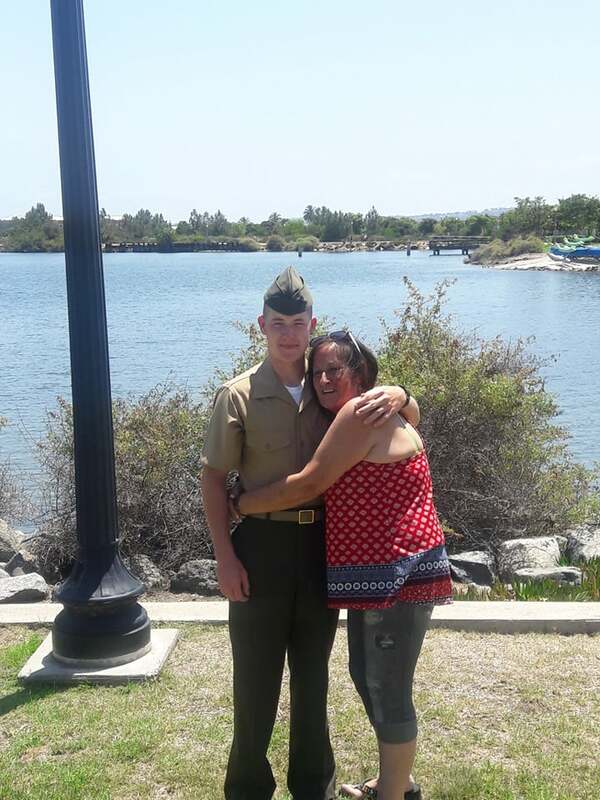 Marine Parents Travel Assistance sent Marine Mother, Angela, to San Diego, where she watched her son graduate from Kilo Company and become a Marine. Marine Parents Travel Assistance sent Marine Mother, Sandy, to San Diego, where she watched her son graduate from Kilo Company and become a Marine. 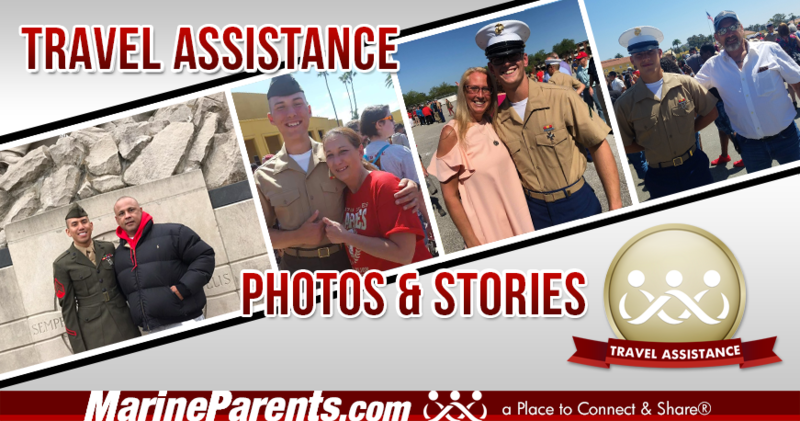 Marine Parents Travel Assistance sent Marine Wife, Marie, to Parris Island, where she watched her husband graduate from Lima Company and become a Marine. 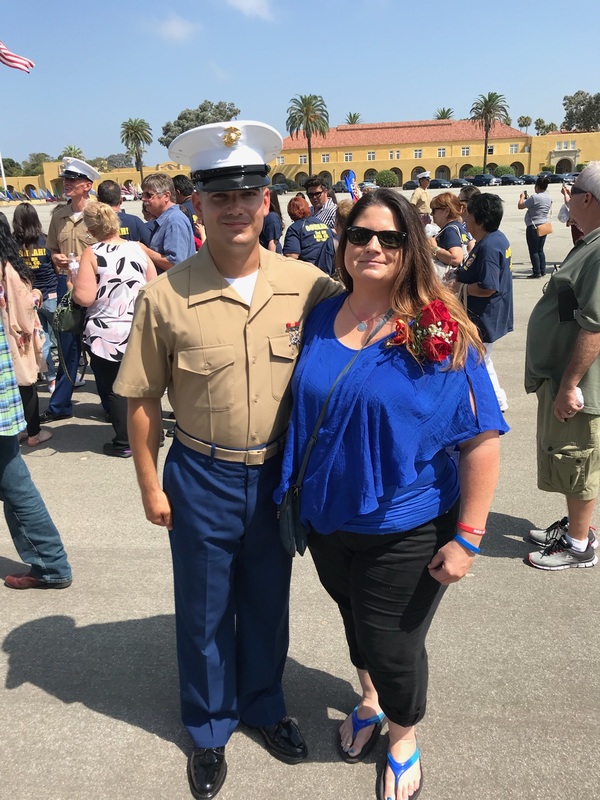 Marine Parents Travel Assistance sent Marine Mother, Jennifer, to San Diego, where she watched her son graduate from Kilo Company and become a Marine. 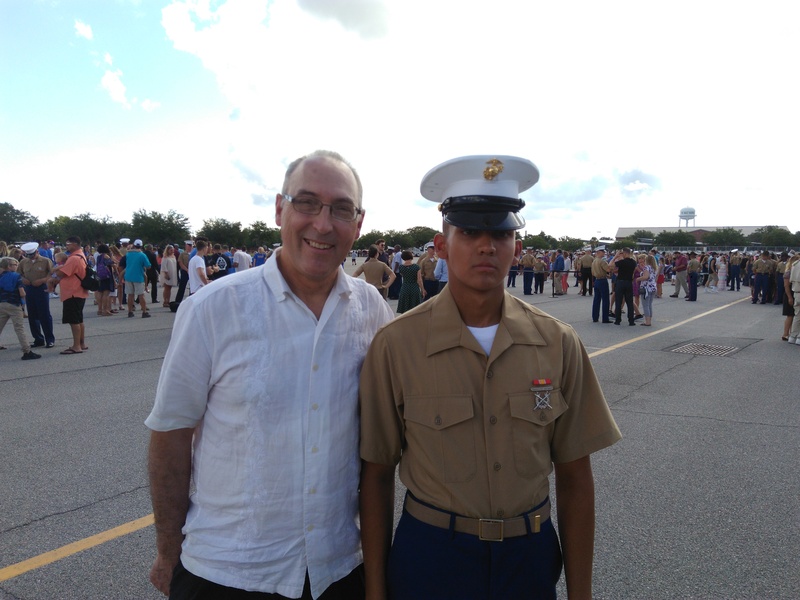 Marine Parents Travel Assistance sent Marine Father, Daniel, to Parris Island, where he watched his son graduate from Mike Company and become a Marine. 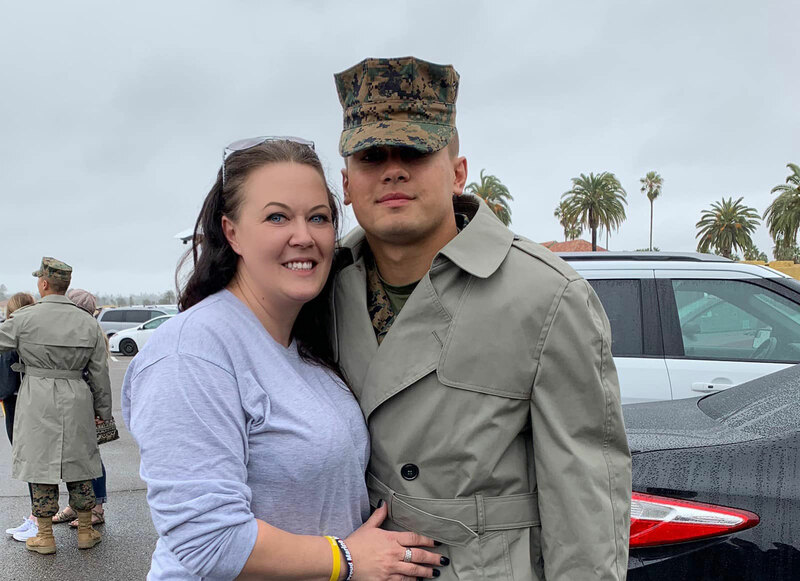 Marine Parents Travel Assistance sent Marine Mother, Amanda, to San Diego, where she watched her son graduate from Golf Company and become a Marine. 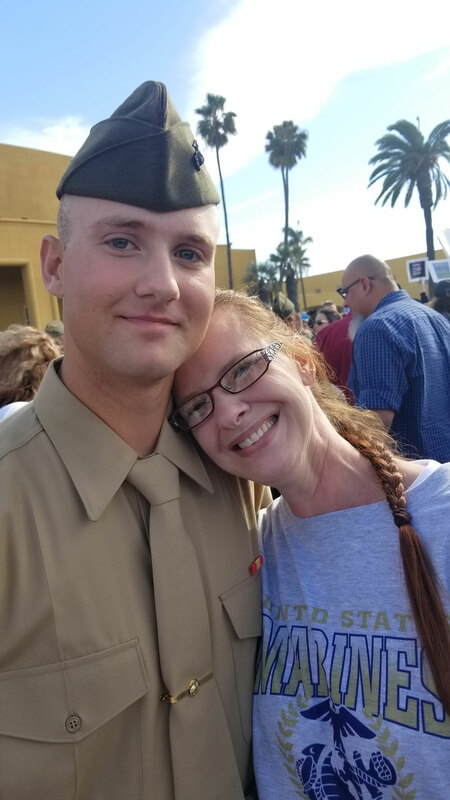 Marine Parents Travel Assistance sent Marine Mother, Melissa, to San Diego, where she watched her son graduate from Golf Company and become a Marine. 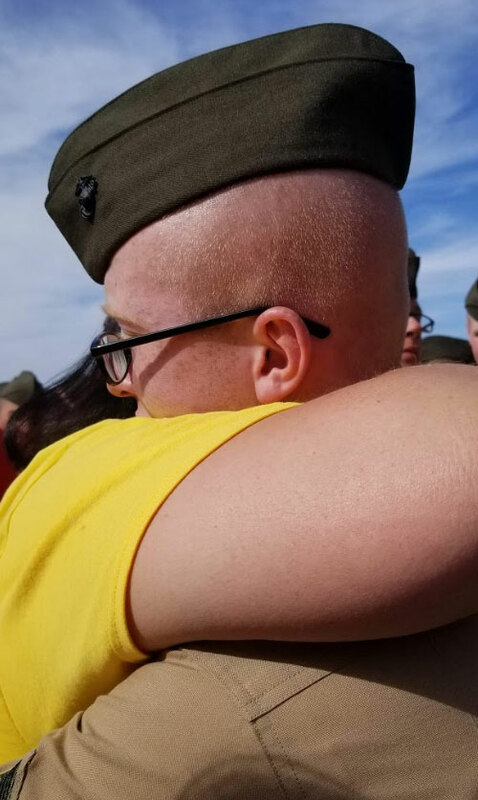 Marine Parents Travel Assistance sent Marine Mother, Leah, to San Diego, where she watched her son graduate from Alpha Company and become a Marine. 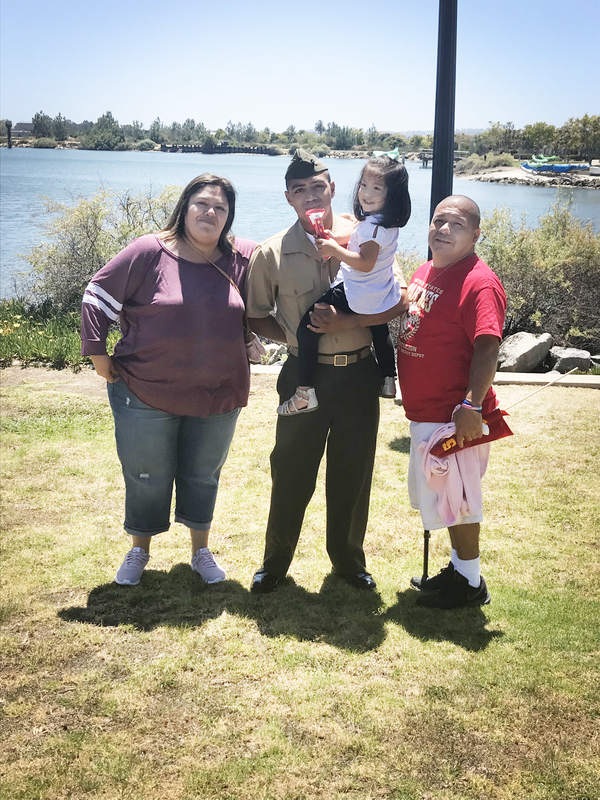 Marine Parents Travel Assistance sent Marine Mother, Guaira, to San Diego, where she watched her son graduate from Alpha Company and become a Marine. 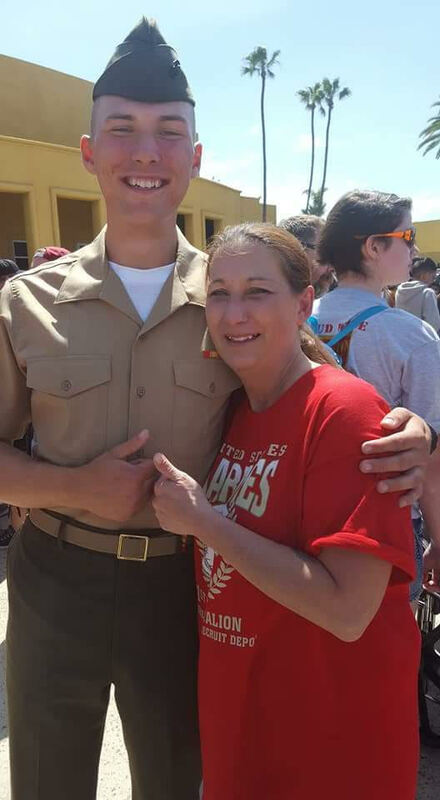 Marine Parents Travel Assistance sent Marine Mother, Maggie, to San Diego, where she watched her son graduate from Alpha Company and become a Marine. 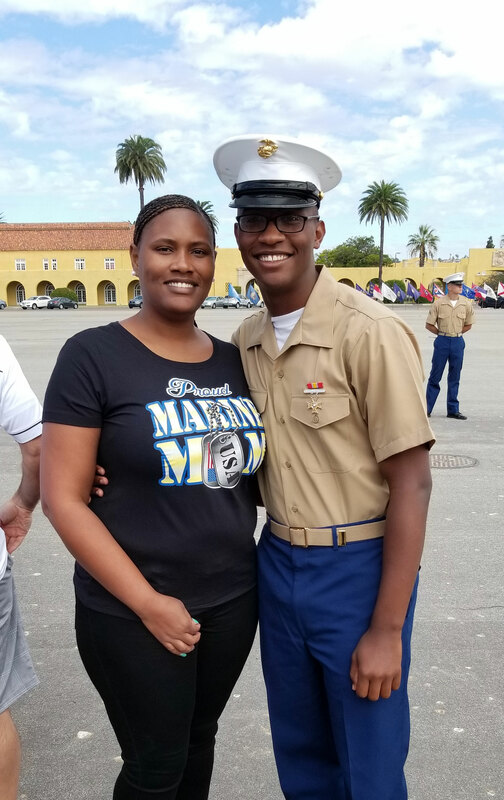 Marine Parents Travel Assistance sent Marine Mother, Teena, to San Diego, where she watched her son graduate from Mike Company and become a Marine. 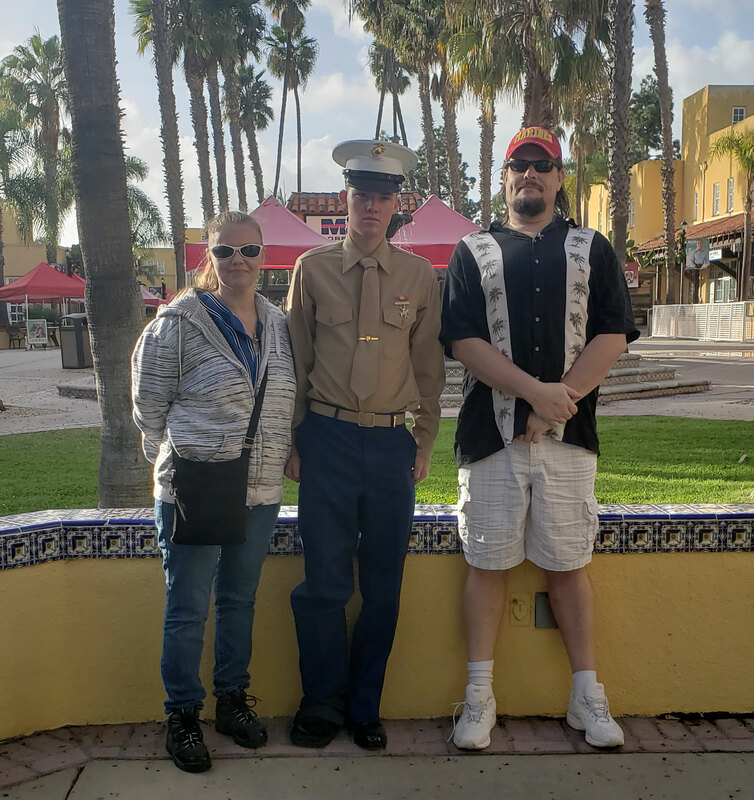 Marine Parents Travel Assistance sent Marine Father, Kenneth, to San Diego, where he watched his son graduate from Mike Company and become a Marine. I just wanted to say thank you for helping us to be able to attend our son's graduation. You guys were a blessing to our family, and without your help we couldn't have gone. It meant a lot to me to be able to see him graduate. 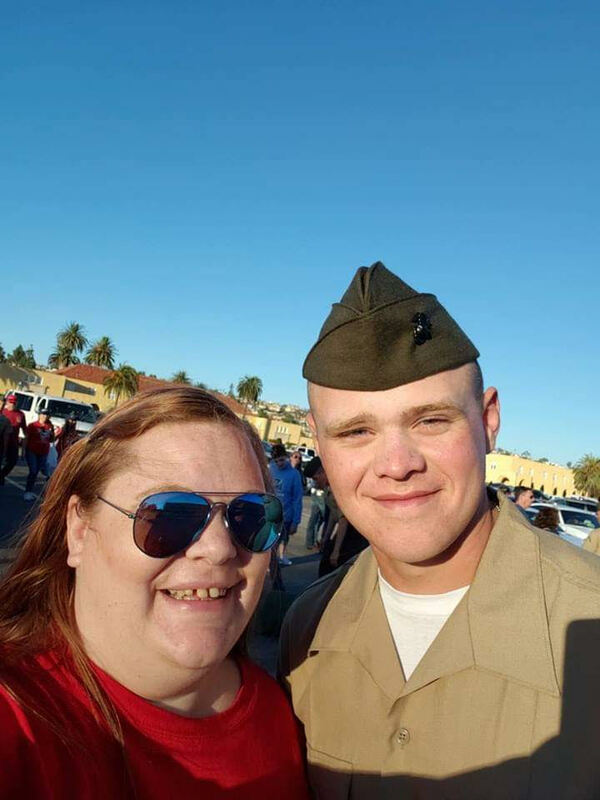 Marine Parents Travel Assistance sent Marine Mother, Crystal, to San Diego, where she watched her son graduate from Mike Company and become a Marine. 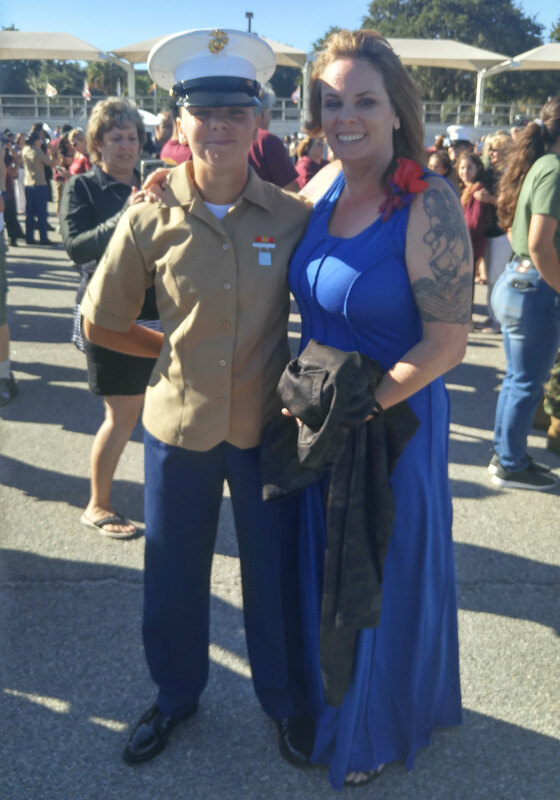 Marine Parents Travel Assistance sent Marine Mother, Angela, to Parris Island, where she watched her daughter graduate from Papa Company and become a Marine. 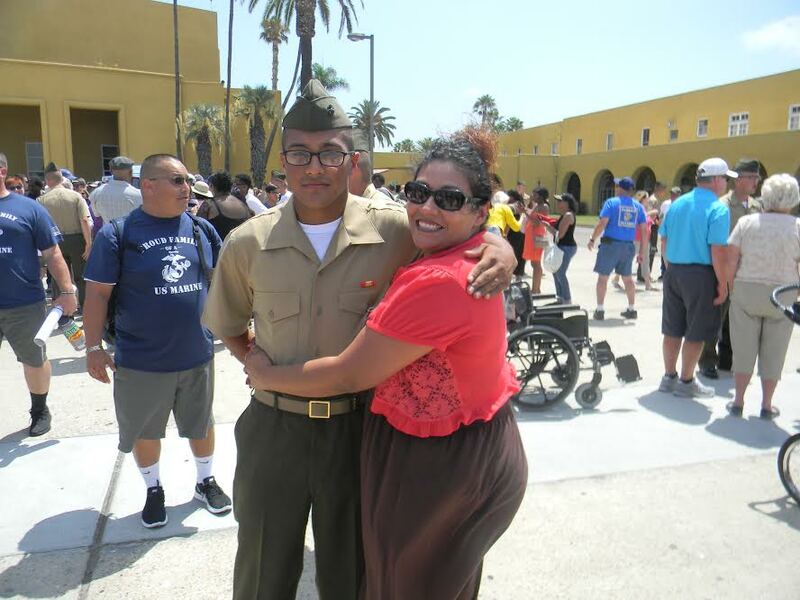 Marine Parents Travel Assistance sent Marine Mother, Chara, to San Diego, where she watched her son graduate from Hotel Company and become a Marine. 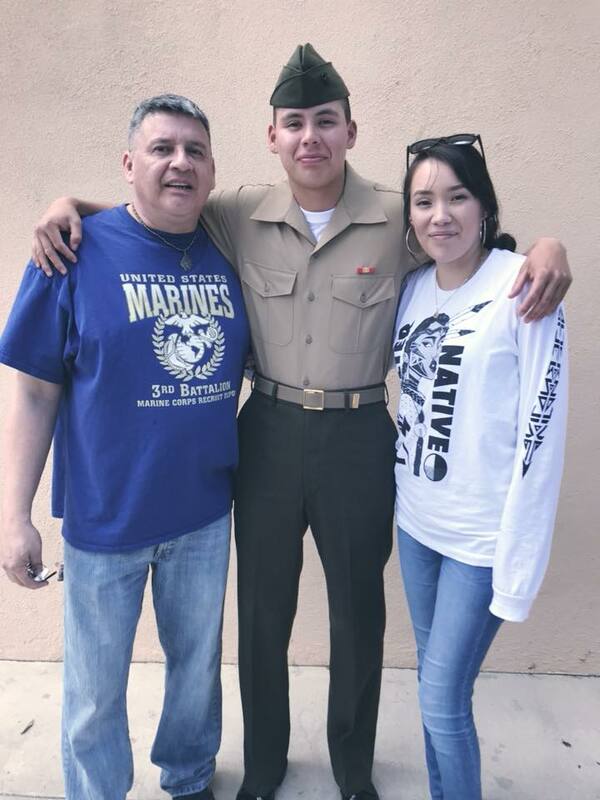 Marine Parents Travel Assistance sent Marine Father, Jerry, to San Diego, where he watched his son graduate from Hotel Company and become a Marine. 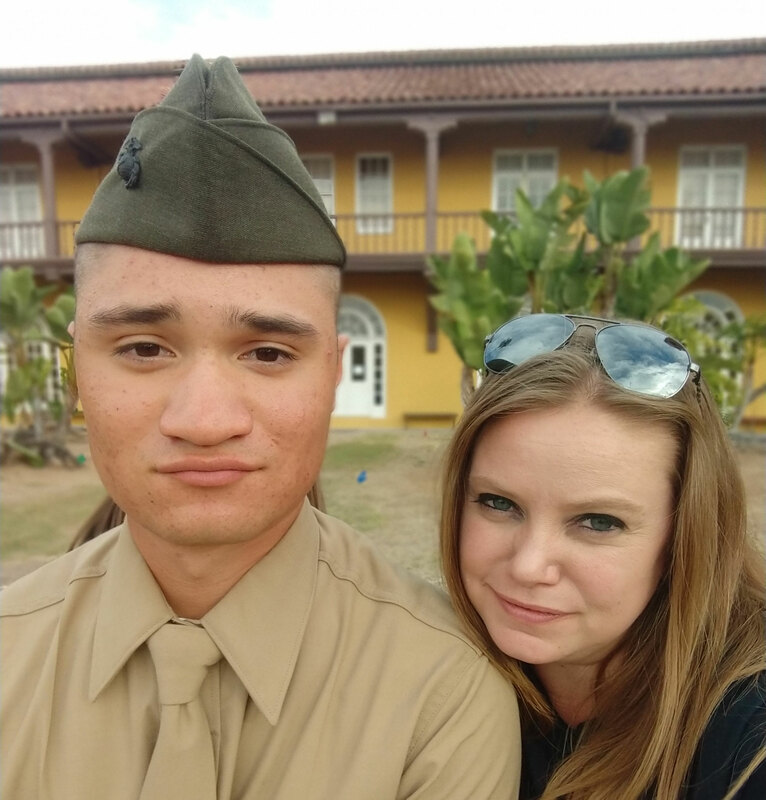 Marine Parents Travel Assistance sent Marine Mother, Jessica, to Parris Island, where she watched her son graduate from Golf Company and become a Marine. Marine Parents Travel Assistance sent Marine Mother, April, to San Diego, where she watched her son graduate from Delta Company and become a Marine. 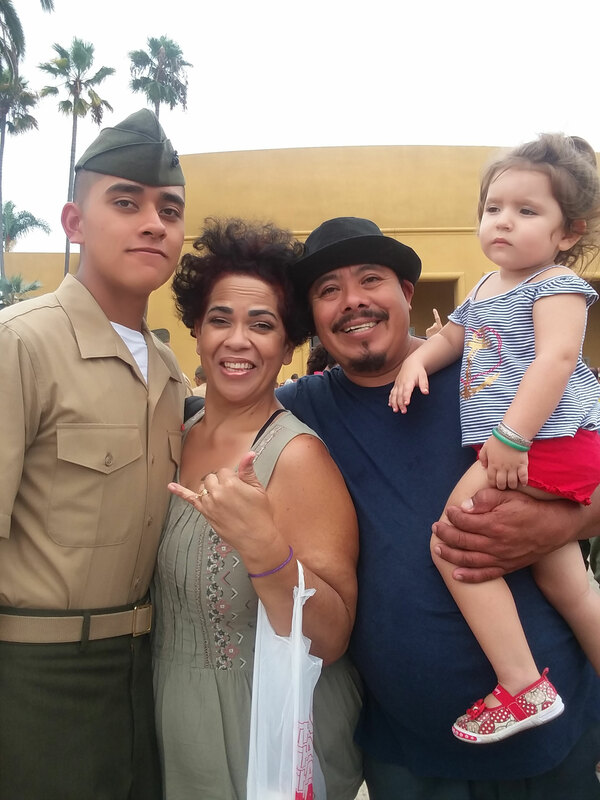 Marine Parents Travel Assistance sent Marine Mother, Maria, to San Diego, where she watched her son graduate from Delta Company and become a Marine. 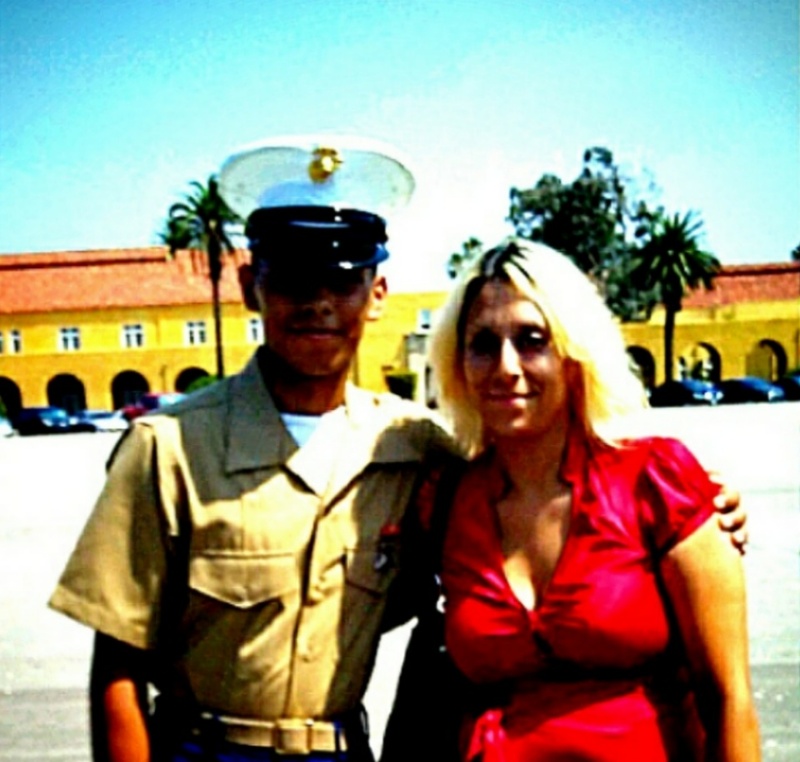 Marine Parents Travel Assistance sent Marine Mother, Stacey, to San Diego, where she watched her son graduate from India Company and become a Marine. 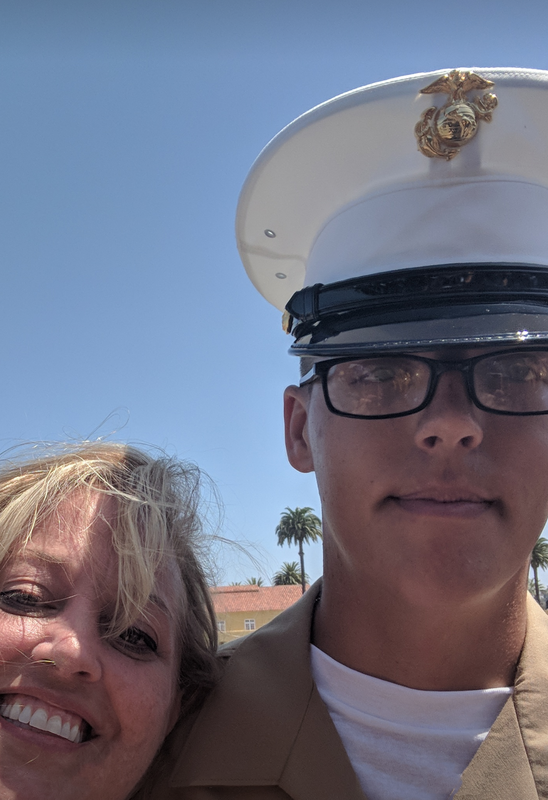 Marine Parents Travel Assistance sent Marine Mother, Lisa, to San Diego, where she watched her son graduate from India Company and become a Marine. 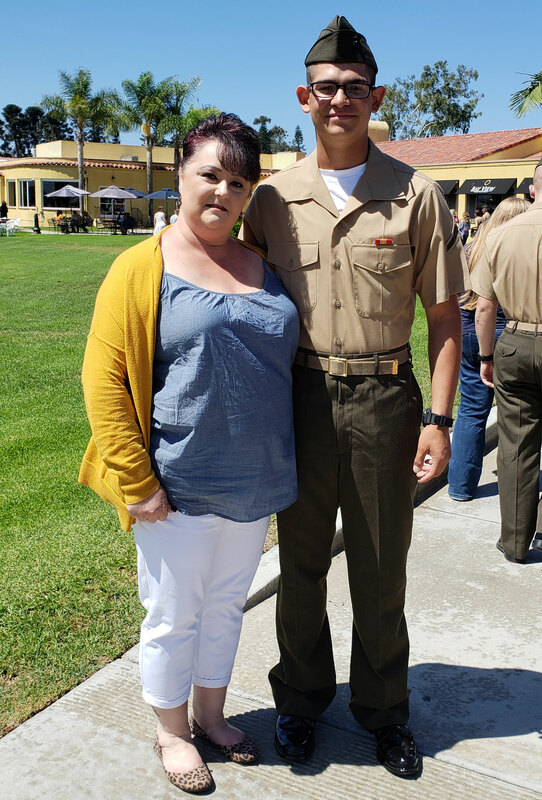 Marine Parents Travel Assistance sent Marine Mother, Annette, to San Diego, where she watched her son graduate from Echo Company and become a Marine. 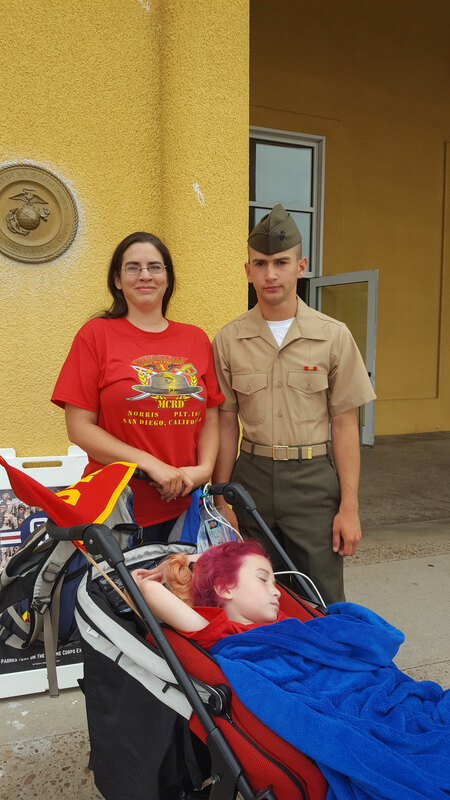 Marine Parents Travel Assistance sent Marine Mother, Jacenta, to San Diego, where she watched her son graduate from Echo Company and become a Marine. 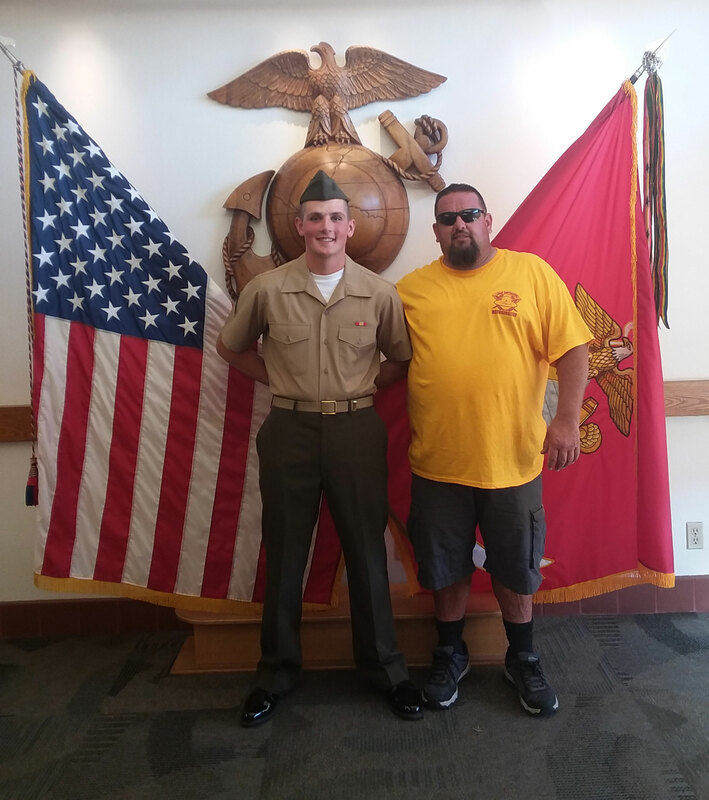 Marine Parents Travel Assistance sent Marine Father, Christopher, to San Diego, where he watched his son graduate from Echo Company and become a Marine. 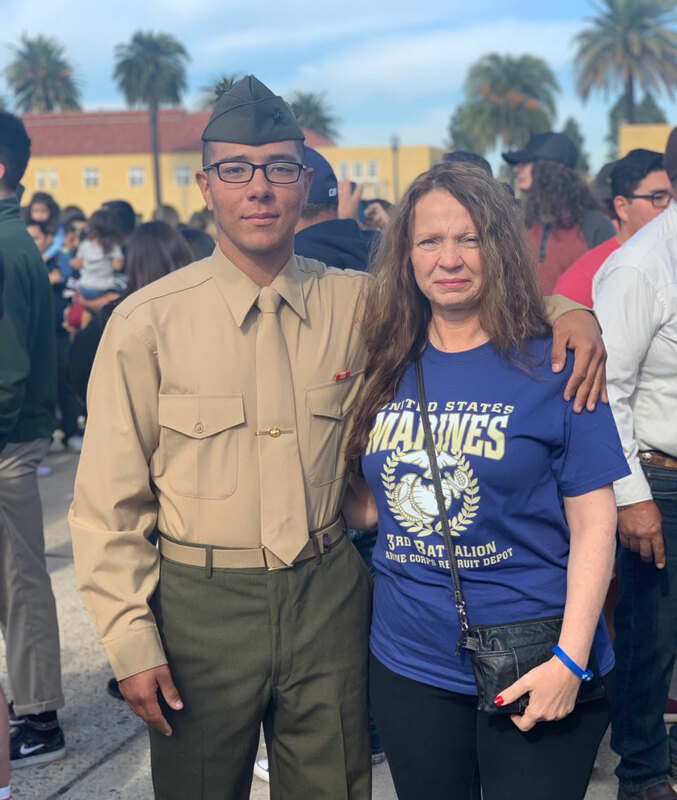 Marine Parents Travel Assistance sent Marine Mother, Gloria, to San Diego, where she watched her son graduate from Bravo Company and become a Marine. 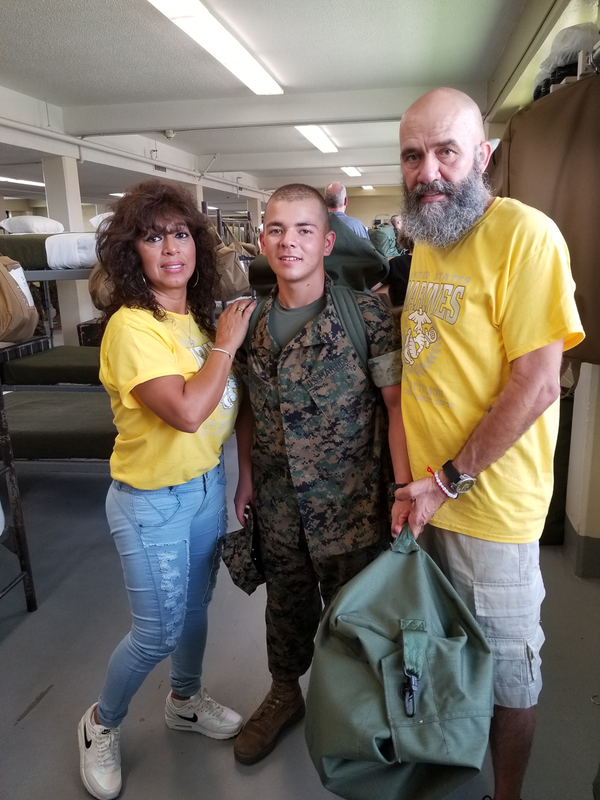 Marine Parents Travel Assistance sent Marine Step-Father, Giovanni, to Parris Island, where he watched his step-son graduate from Fox Company and become a Marine. 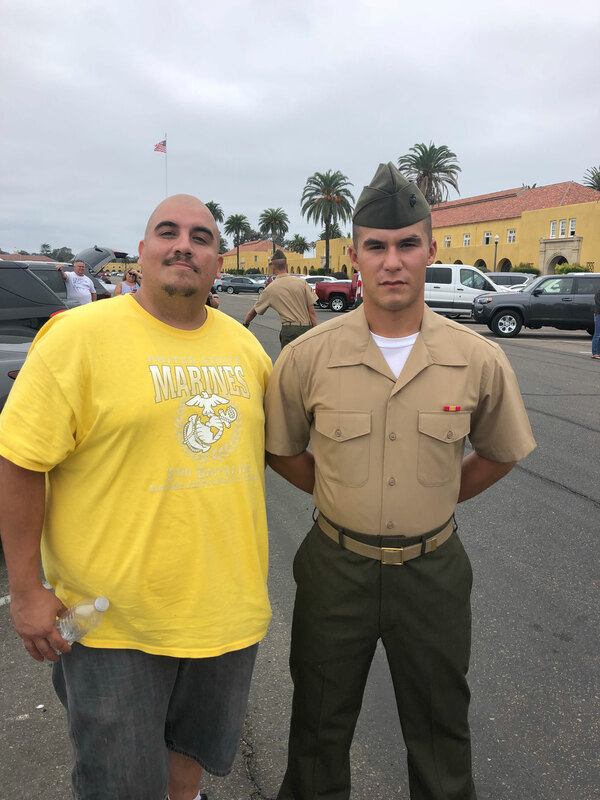 Marine Parents Travel Assistance sent Marine Father, Shawn, to San Diego, where he watched his son graduate from Bravo Company and become a Marine. 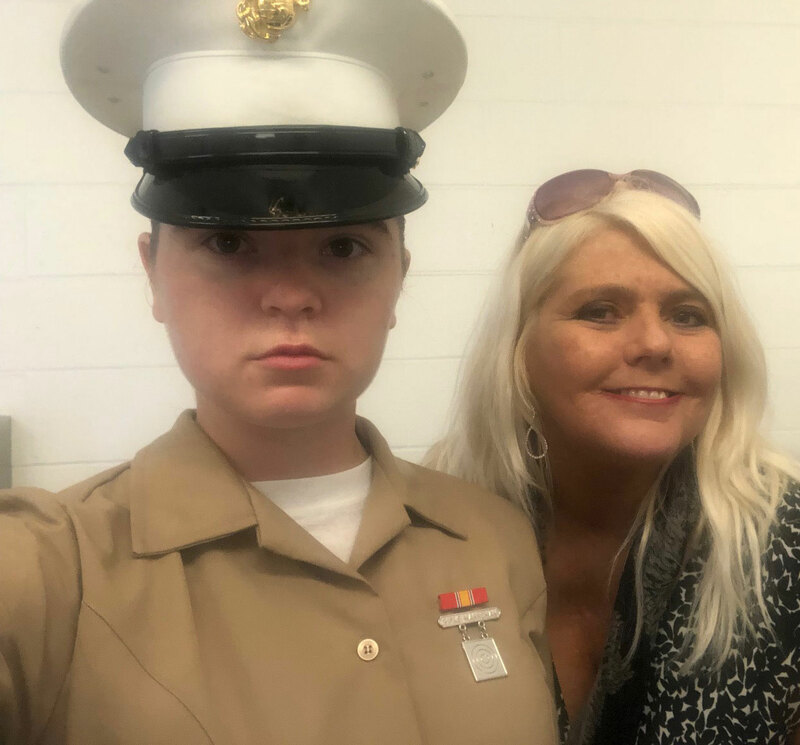 Marine Parents Travel Assistance sent Marine Mother, Amie, to Parris Island, where she watched her daughter graduate from Oscar Company and become a Marine. 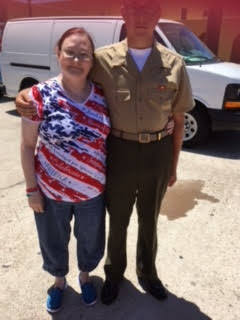 Marine Parents Travel Assistance sent Marine Mother, Leslie, to San Diego, where she watched her son graduate from Lima Company and become a Marine. 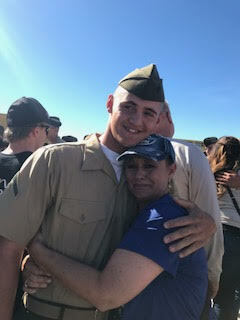 Marine Parents Travel Assistance sent Marine Mother, Nancy, to San Diego, where she watched her son graduate from Lima Company and become a Marine. Marine Parents Travel Assistance sent Marine Father, Frank, to San Diego, where he watched his son graduate from Lima Company and become a Marine. 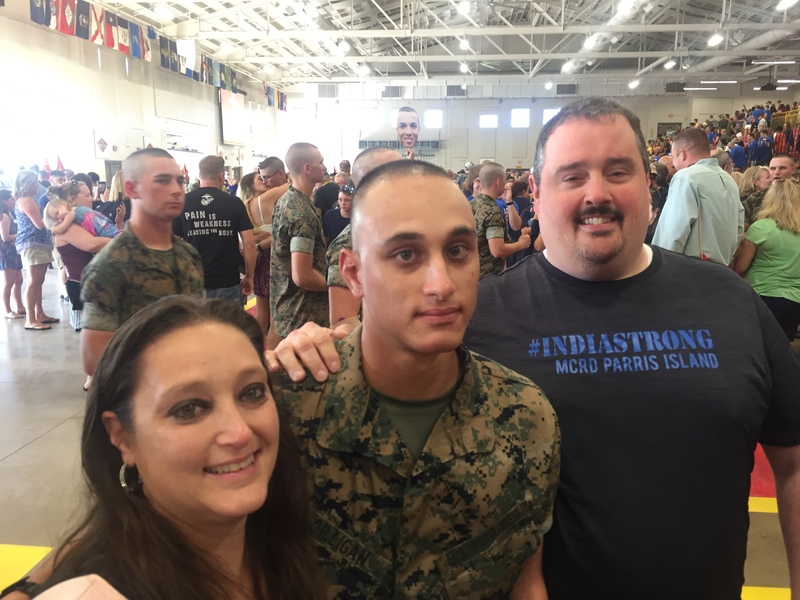 Marine Parents Travel Assistance sent Marine Mother, Danielle, to Parris Island, where she watched her son graduate from India Company and become a Marine. 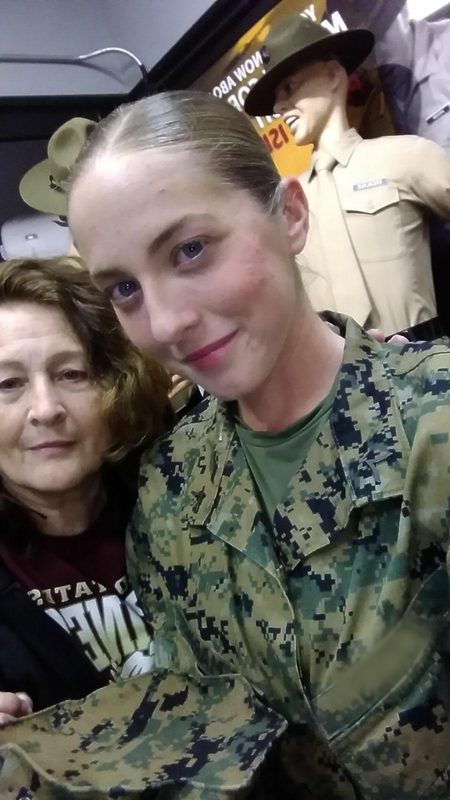 Marine Parents Travel Assistance sent Marine Mother, Cheryl, to Parris Island, where she watched her daughter graduate from Oscar Company and become a Marine. 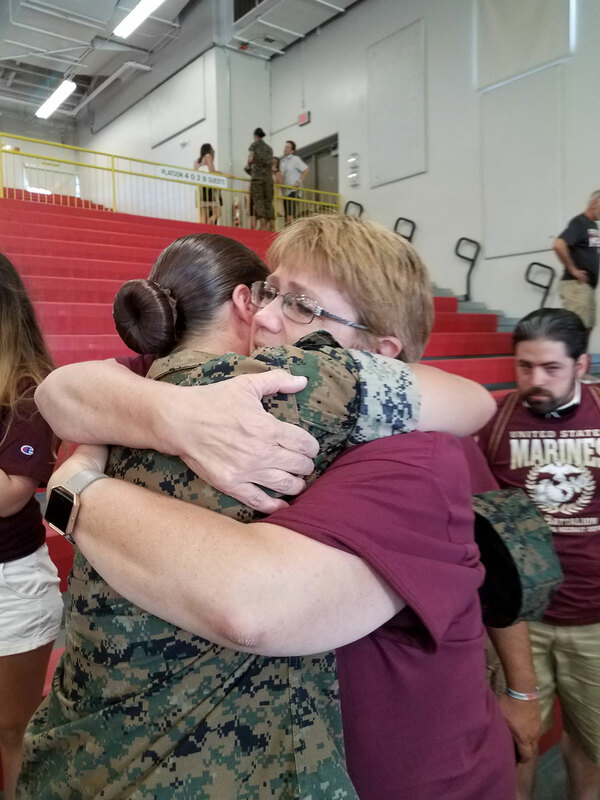 Marine Parents Travel Assistance sent Marine Mother, Teresa, to Parris Island, where she watched her daughter graduate from Oscar Company and become a Marine. 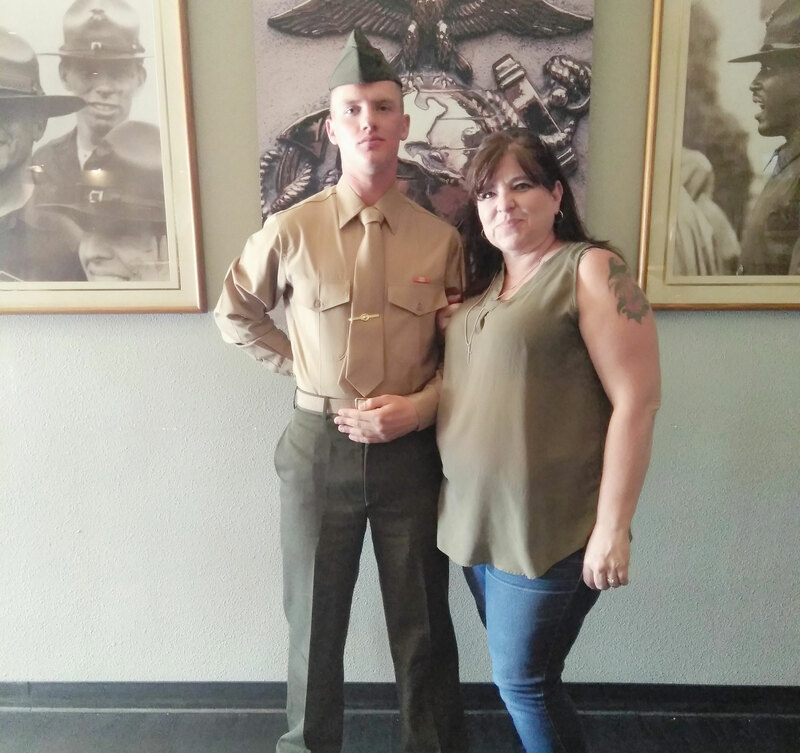 Marine Parents Travel Assistance sent Marine Mother, Marie, to San Diego, where she watched her son graduate from Fox Company and become a Marine. 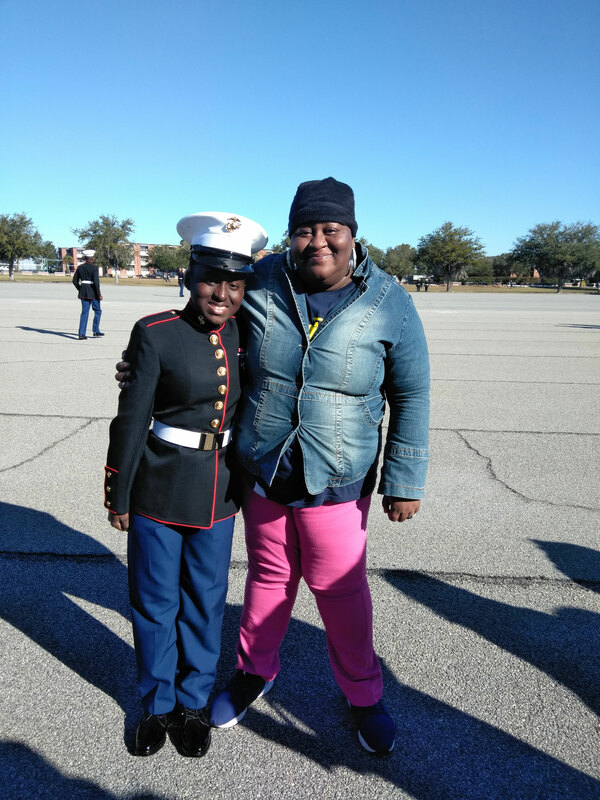 Marine Parents Travel Assistance sent Marine Mother, Felicia, to Parris Island, where she watched her daughter graduate from November Company and become a Marine. 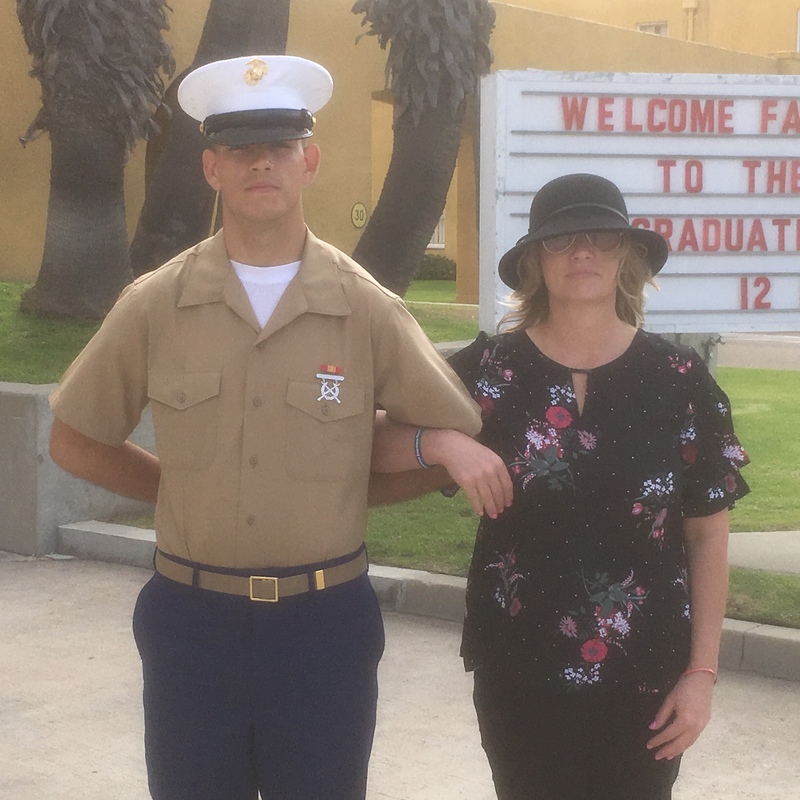 Marine Parents Travel Assistance sent Marine Mother, Theresa, to San Diego, where she watched her son graduate from Charlie Company and become a Marine. Marine Parents Travel Assistance sent Marine Parents, Wayne and Leona, to San Diego, where they watched their son graduate from Charlie Company and become a Marine. 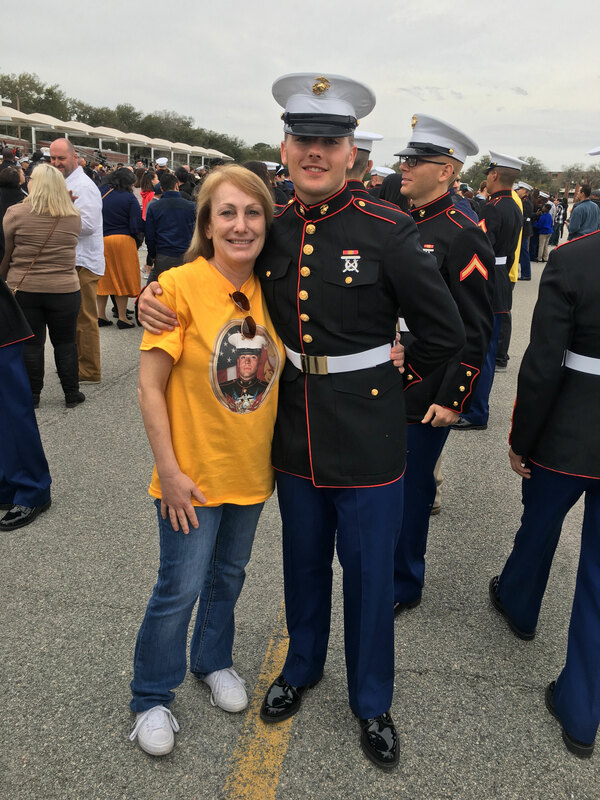 Marine Parents Travel Assistance sent Marine Mom, Karen, to San Diego, where she watched her son graduate from Kilo Company and become a Marine. 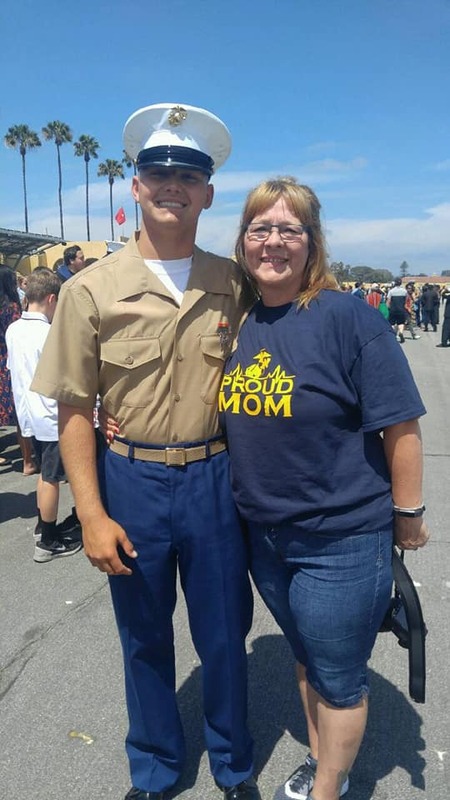 Marine Parents Travel Assistance sent Marine Mom, Donna, to San Diego, where she watched her son graduate from Golf Company and become a Marine. 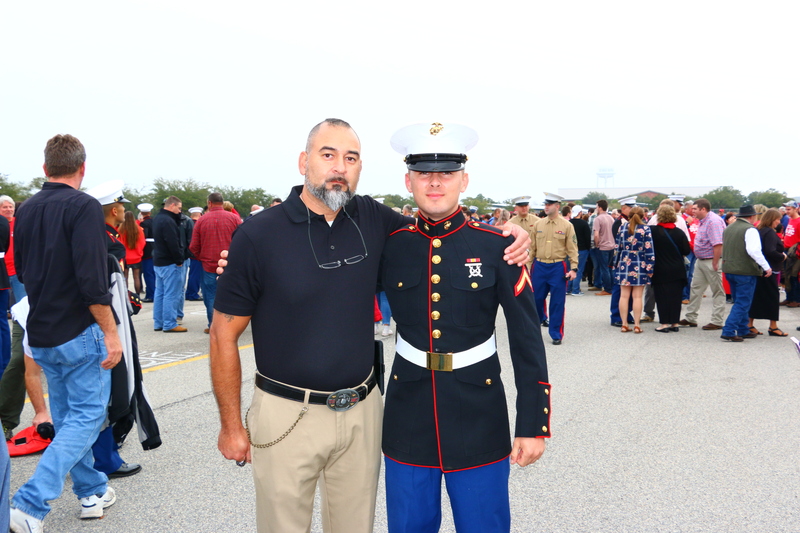 Marine Parents Travel Assistance sent Marine Dad, William, to Parris Island, where he watched his son graduate from Mike Company and become a Marine. 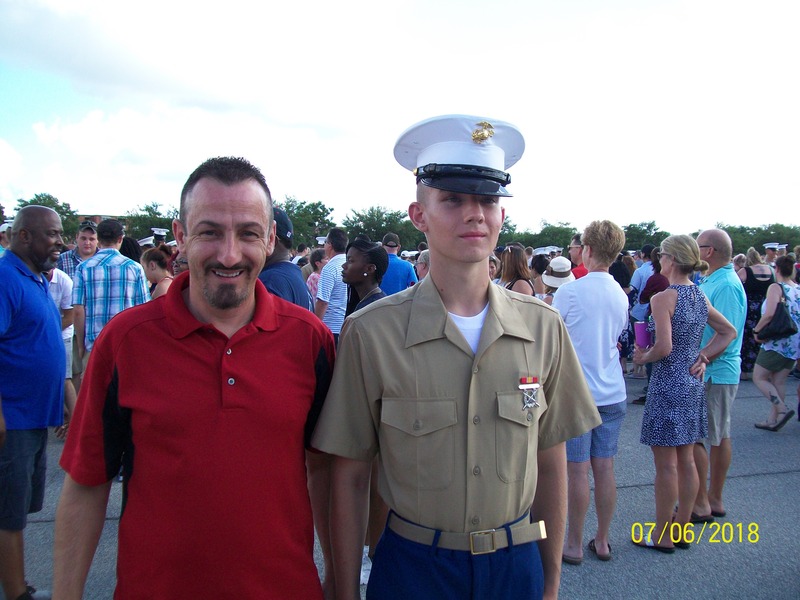 Marine Parents Travel Assistance sent Marine Dad, Anthony, to Parris Island, where he watched his son graduate from Mike Company and become a Marine. 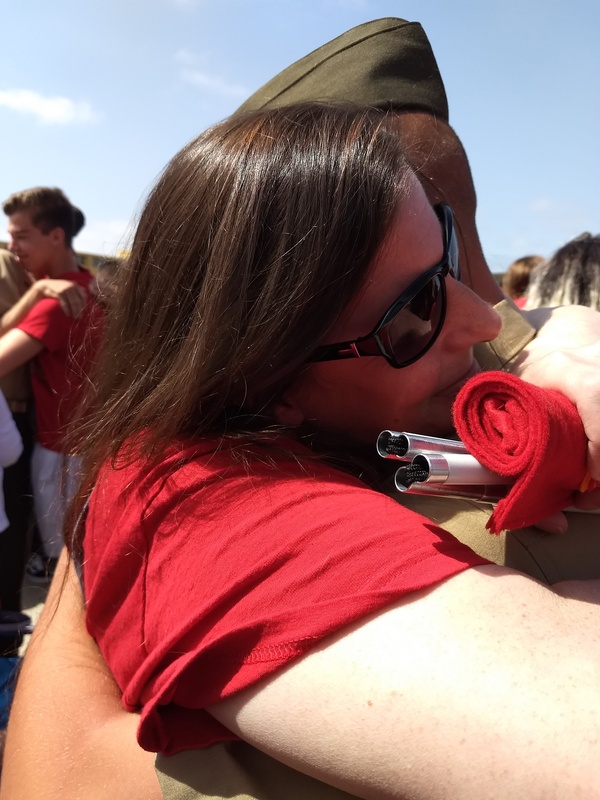 Marine Parents Travel Assistance sent Marine Mom, Mary, to San Diego, where she watched her son graduate from Alpha Company and become a Marine. 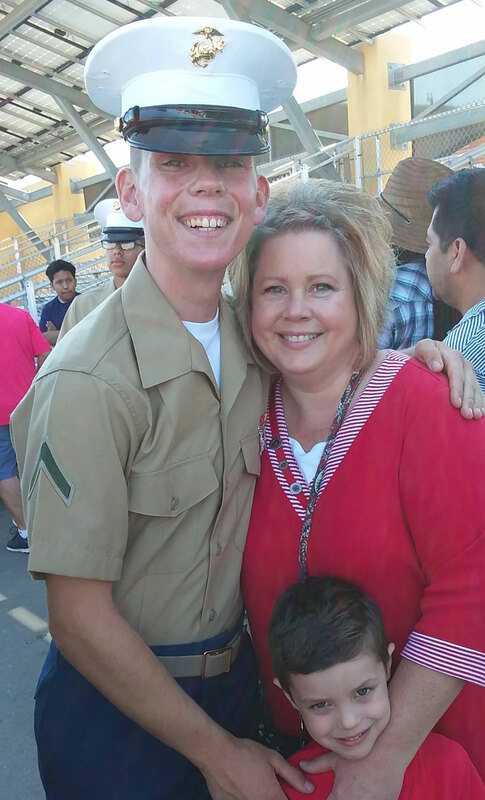 Marine Parents Travel Assistance sent Marine Mom, Tammy, to San Diego, where she watched her son graduate from Mike Company and become a Marine. 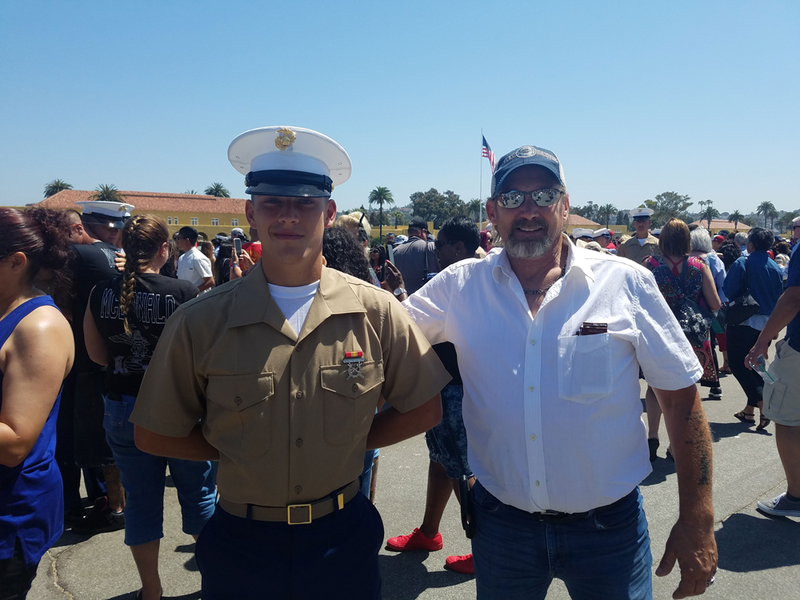 Marine Parents Travel Assistance sent Marine Dad, Mark, to San Diego, where he watched his son graduate from Hotel Company and become a Marine. Marine Parents Travel Assistance sent Marine Mom, Patricia, to San Diego, where she watched her son graduate from Delta Company and become a Marine. 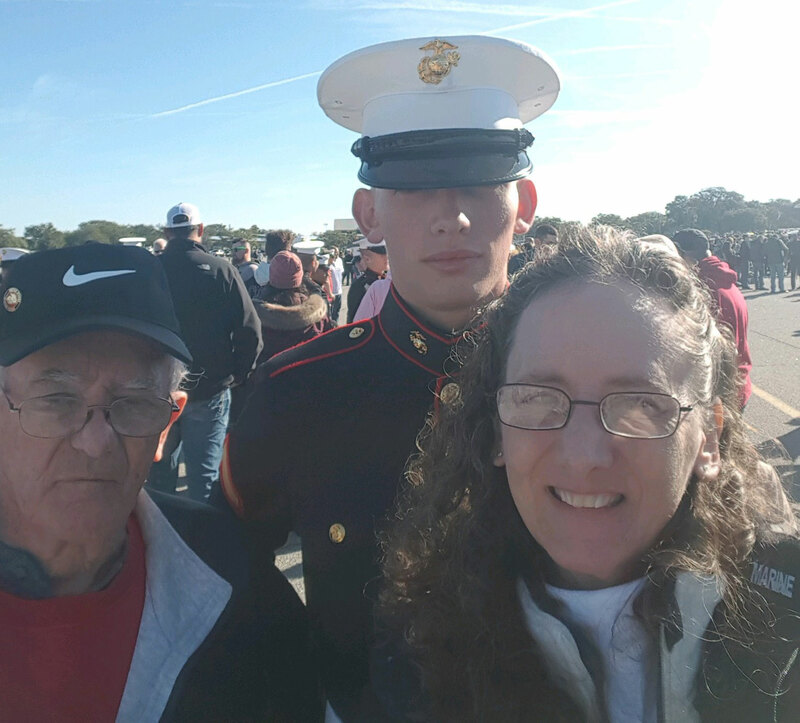 Marine Parents Travel Assistance sent Marine Uncle, James, and Marine Aunt, Diana, to Parris Island, where they watched their nephew graduate from Golf Company and become a Marine. 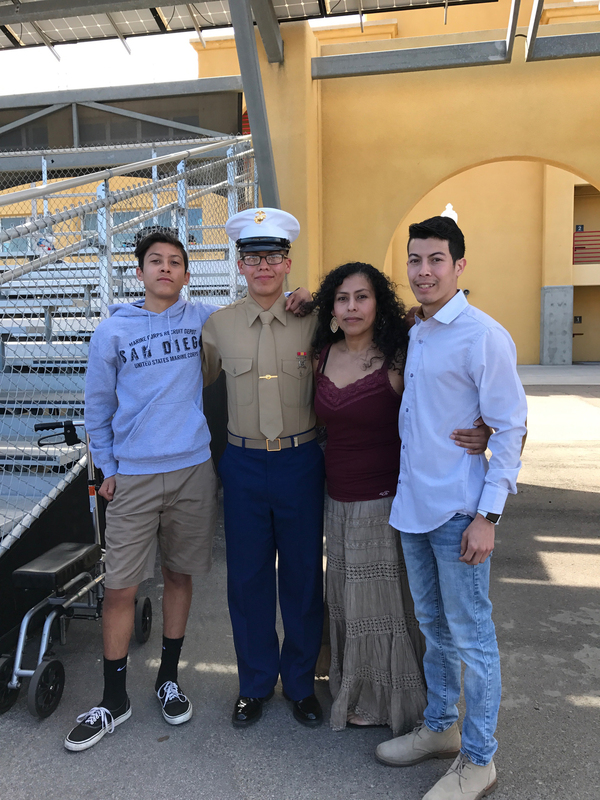 Marine Parents Travel Assistance sent Marine Mother, Karla, to San Diego, where she watched her son graduate from India Company and become a Marine. 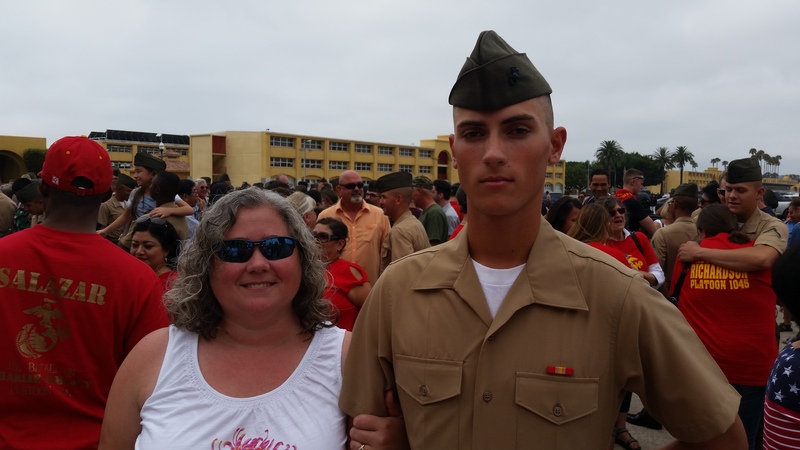 Marine Parents Travel Assistance sent Marine Mother, Shelley, to San Diego, where she watched her son graduate from India Company and become a Marine. 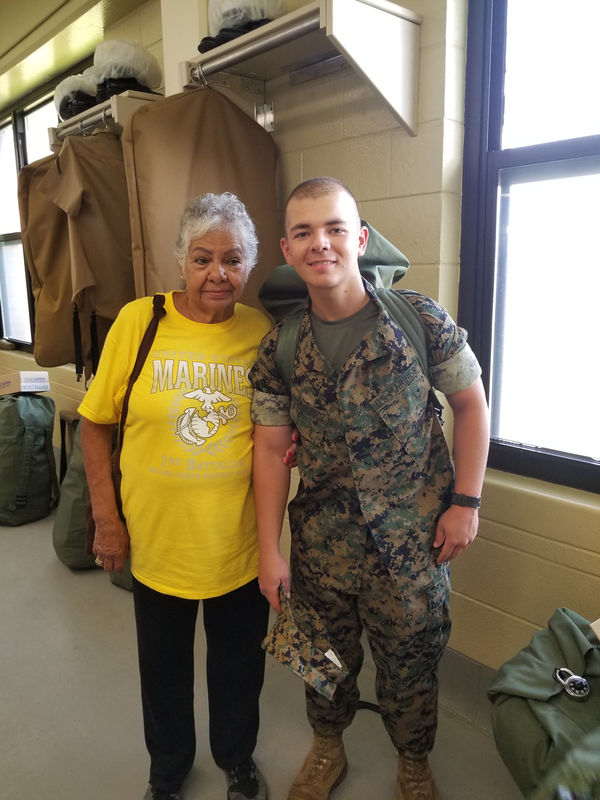 Marine Parents Travel Assistance sent Marine Grandmother, Laura, to Parris Island, where she watched her grandson graduate from Golf Company and become a Marine. 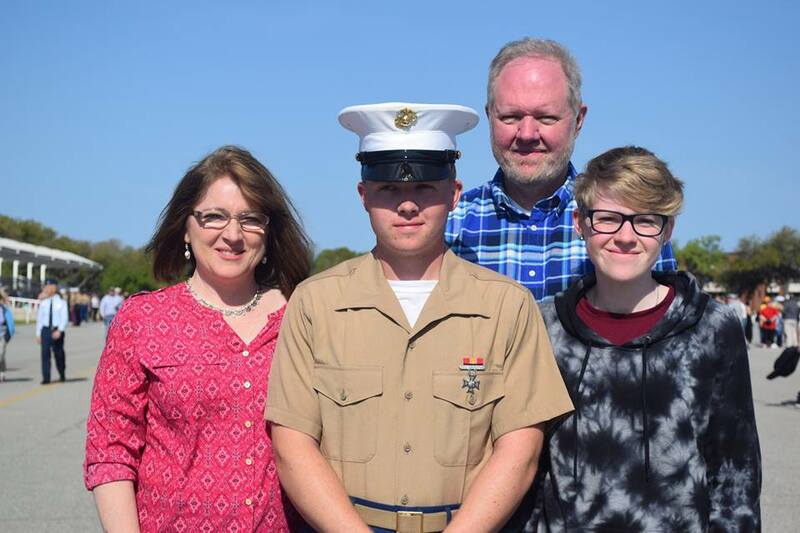 Marine Parents Travel Assistance sent Marine Mother, Sara, to Parris Island, where she watched her son graduate from Charlie Company and become a Marine. 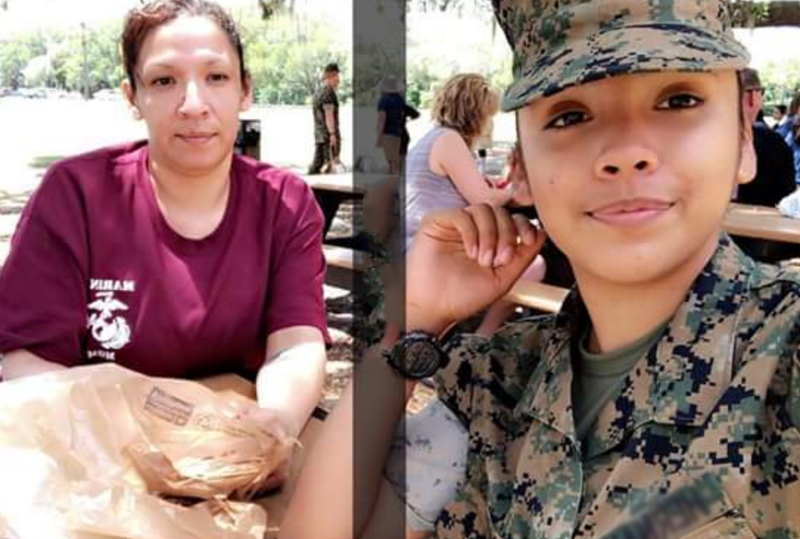 Marine Parents Travel Assistance sent Marine Mother, Eufemia, to Parris Island, where she watched her daughter graduate from Papa Company and become a Marine. 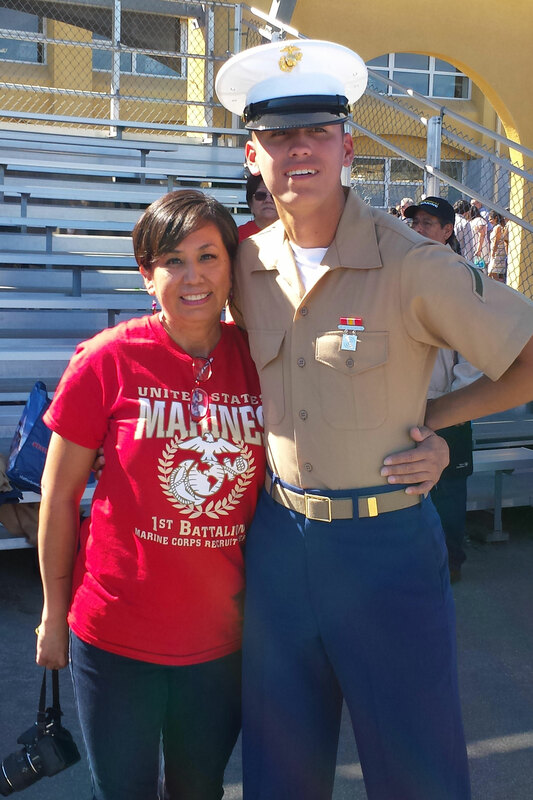 Marine Parents Travel Assistance sent Marine Mother, Regina, to San Diego, where she watched her son graduate from Bravo Company and become a Marine. 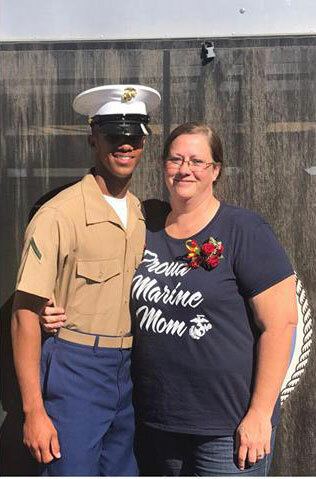 Marine Parents Travel Assistance sent Marine Mother, Janice, to Parris Island, where she watched her son graduate from Kilo Company and become a Marine. 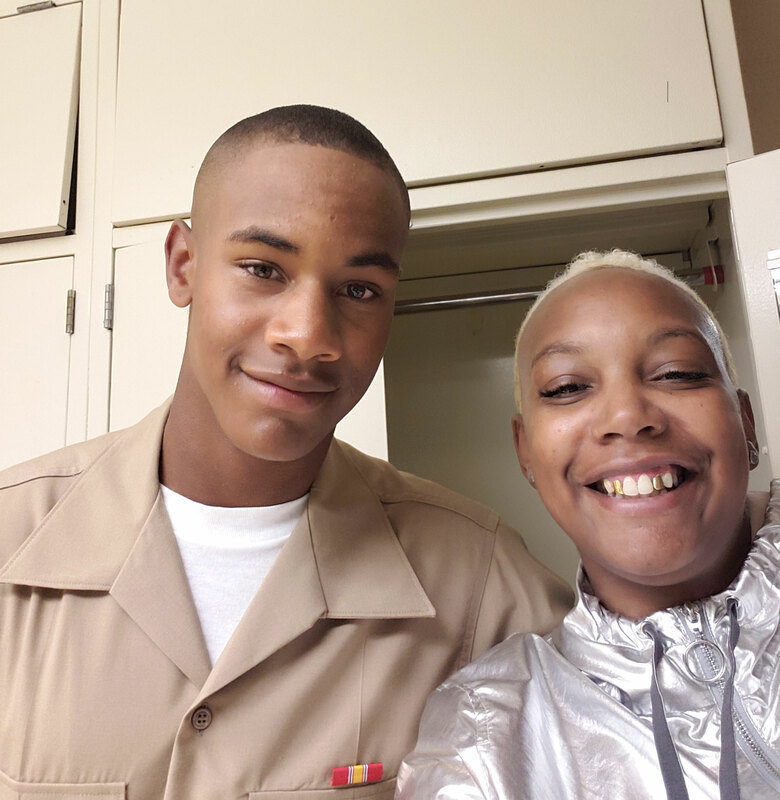 Marine Parents Travel Assistance sent Marine Mother, Gloria, to Parris Island, where she watched her daughter graduate from Papa Company and become a Marine. 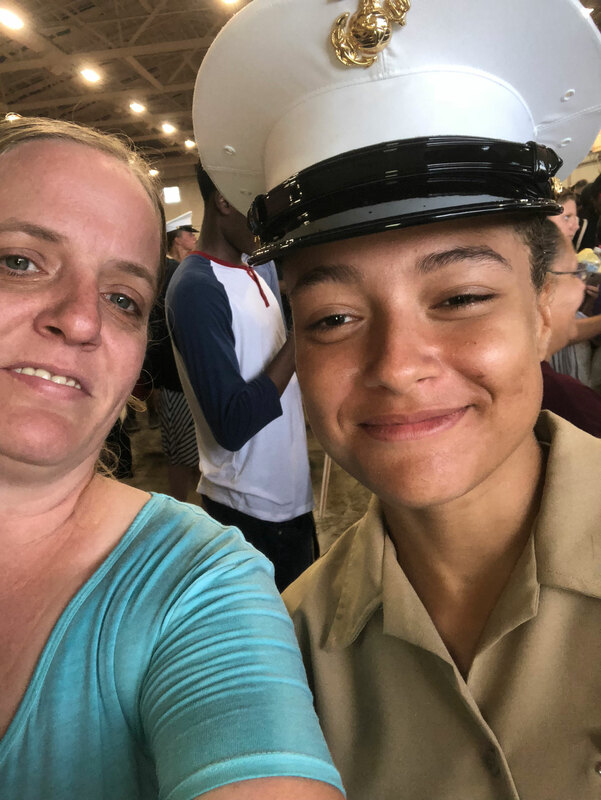 Marine Parents Travel Assistance sent Marine Mother, Nelda, to Parris Island, where she watched her daughter graduate from Oscar Company and become a Marine. 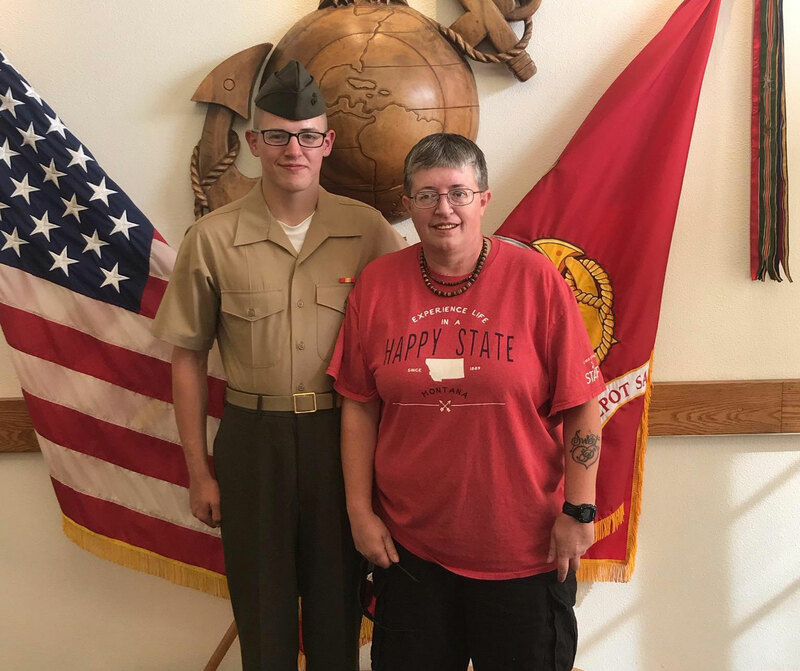 Marine Parents Travel Assistance sent Marine Mother, Mary, to Parris Island, where she watched her son graduate from Bravo Company and become a Marine. Mary says, "THANK YOU THANK YOU THANK YOU !!! I feel so blessed! This blessing is by far one of my top three blessings that I've ever had the honor of being part of. Again, thank you so so much!!!" 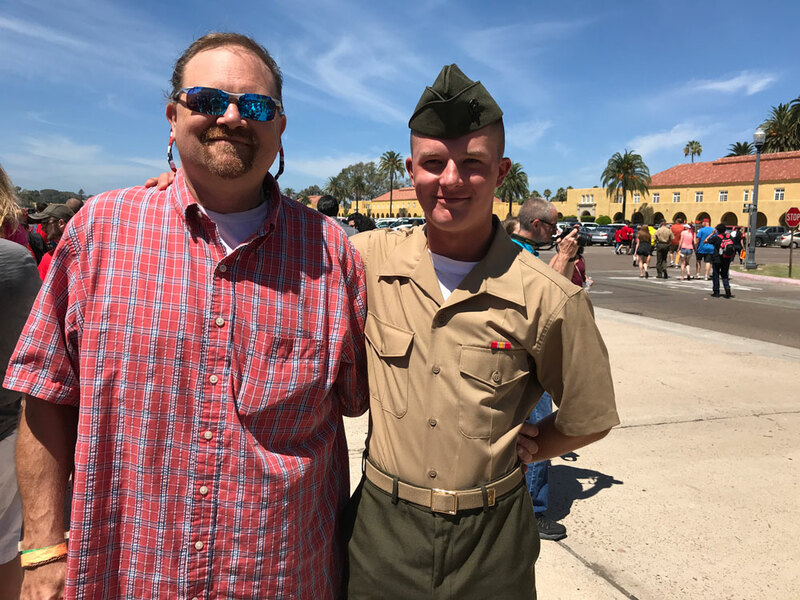 Marine Parents Travel Assistance sent Marine Father, Justin, to Parris Island, where he watched his son graduate from Echo Company and become a Marine. 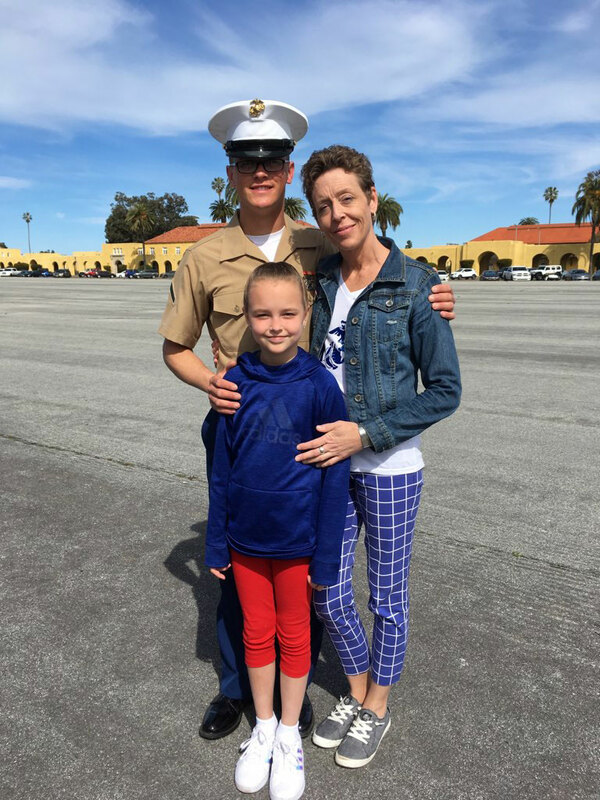 Marine Parents Travel Assistance sent Marine Mother, Alexandra, to San Diego, where she watched her son graduate from Charlie Company and become a Marine. 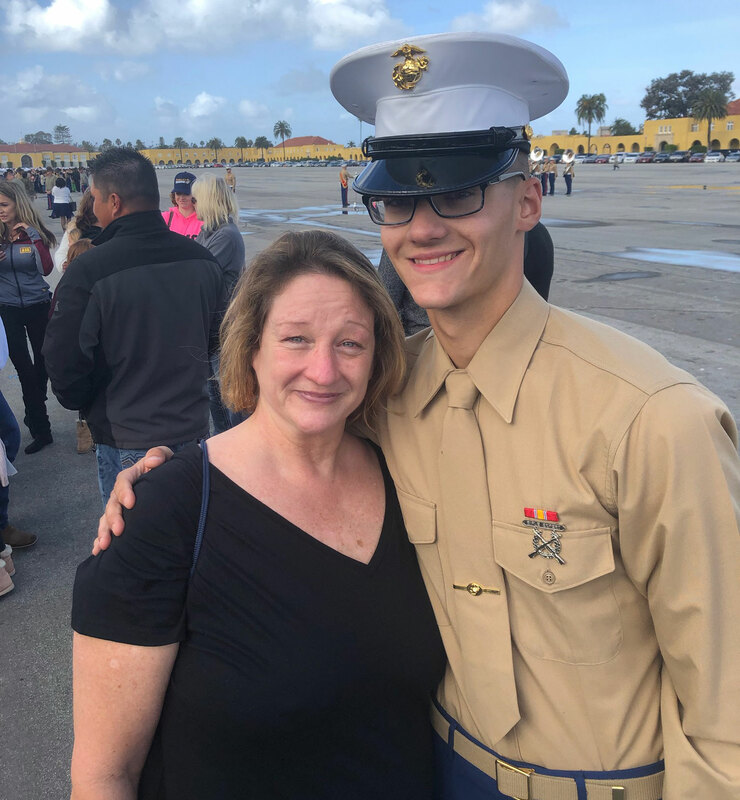 Marine Parents Travel Assistance sent Marine Mother, Helen, to San Diego, where she watched her son graduate from Charlie Company and become a Marine. 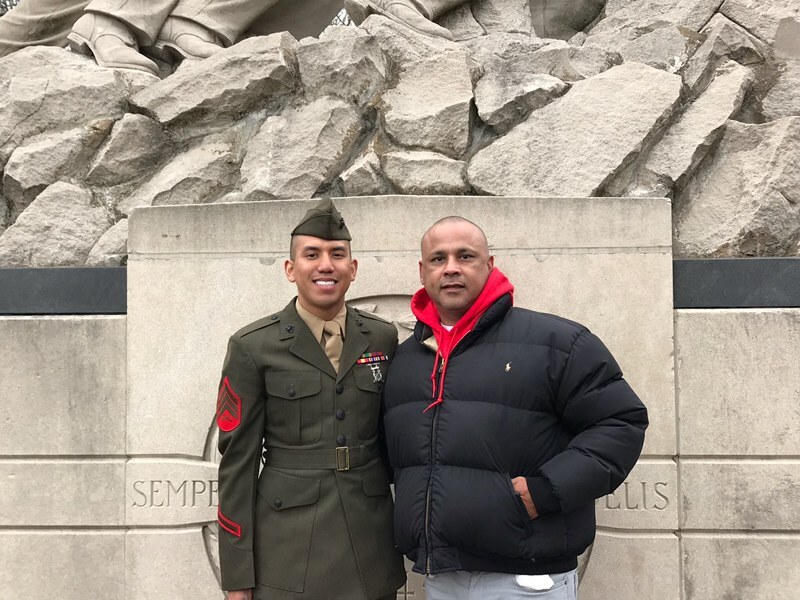 Marine Parents Travel Assistance was able to send Marine Father, Hector, to Quantico, where he watched his son graduate from Marine Officer Candidate School. MPTA paid for Hector's flight and hotel. Hector says, "Thank you so much, I really appreciate all your help. God Bless you. You made me the proudest father." 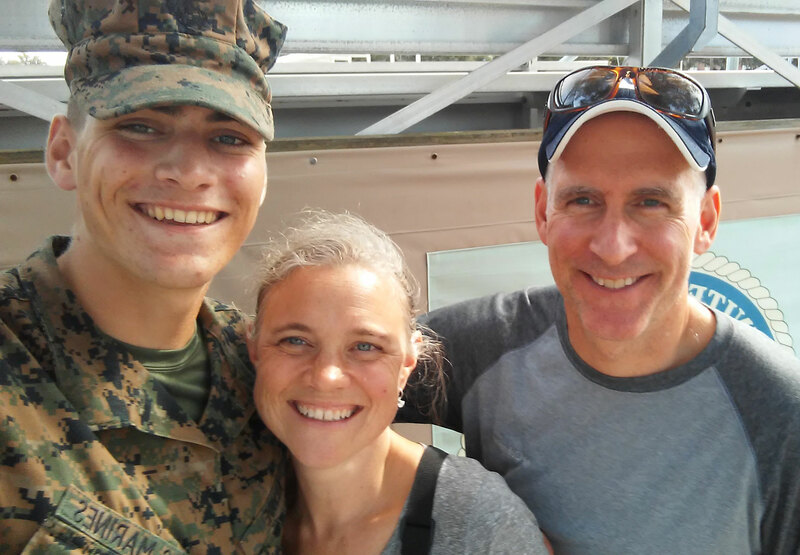 Marine Parents Travel Assistance sent Marine Father, Bruce, to San Diego, where he watched his son graduate from Kilo Company and become a Marine. 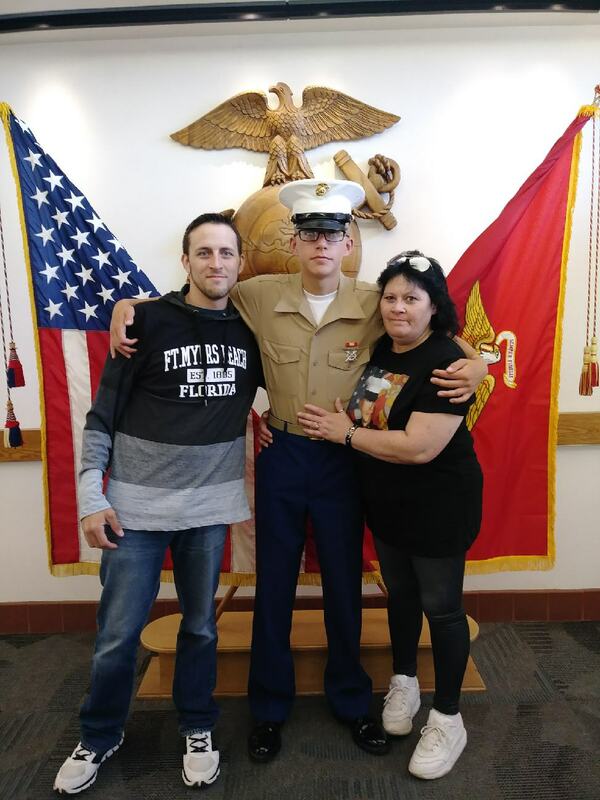 Marine Parents Travel Assistance sent Marine Mother, Jo Ann, and Marine Father, Wasfi, to San Diego, where they watched their son graduate from Golf Company and become a Marine. 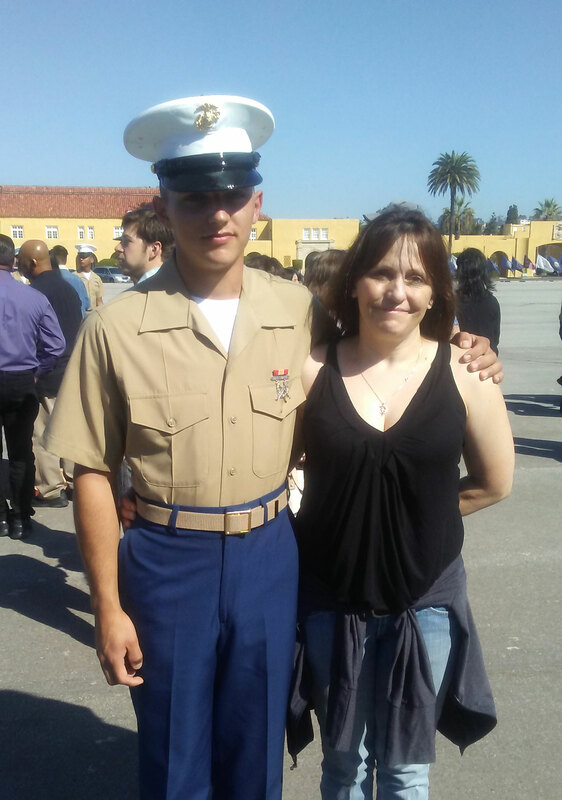 Marine Parents Travel Assistance sent Marine Mother, Sara, to San Diego, where she watched her son graduate from Golf Company and become a Marine. 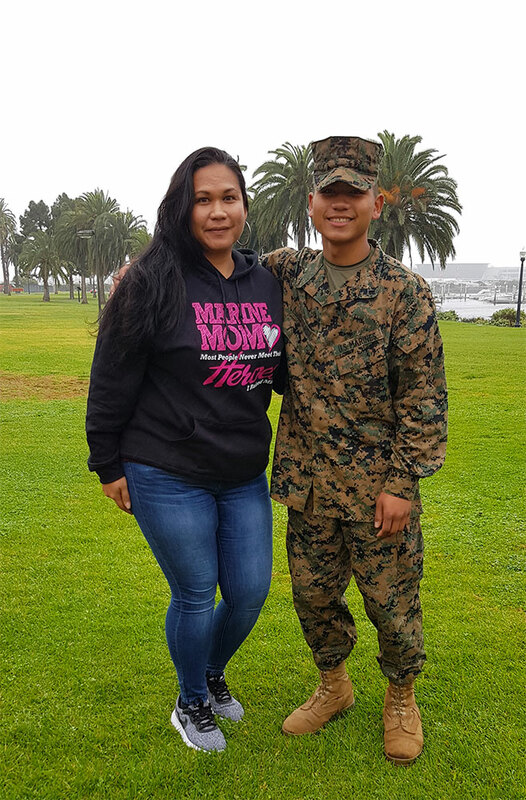 Marine Parents Travel Assistance sent Marine Mother, Arisara, to San Diego, where she watched her son graduate from Alpha Company and become a Marine.